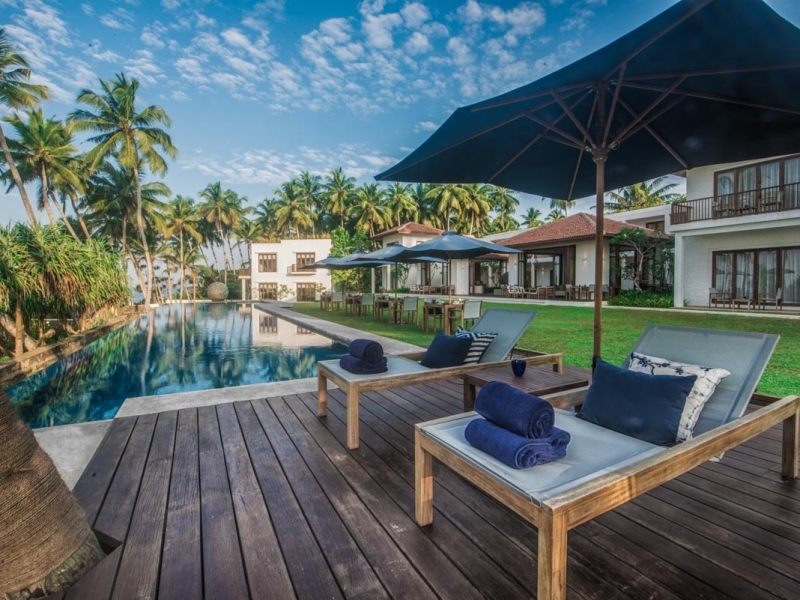 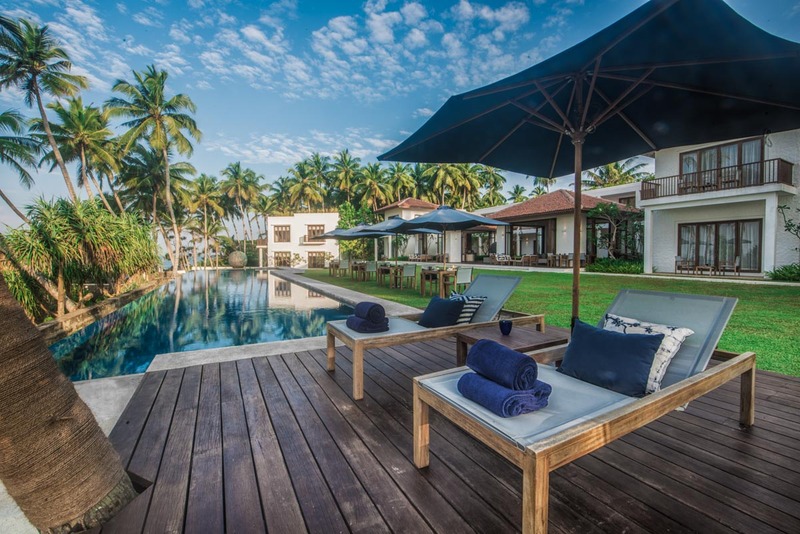 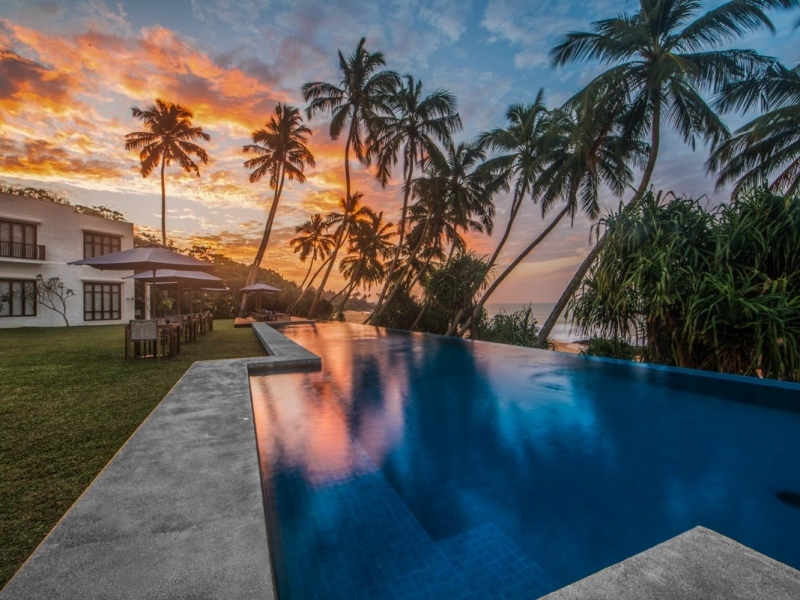 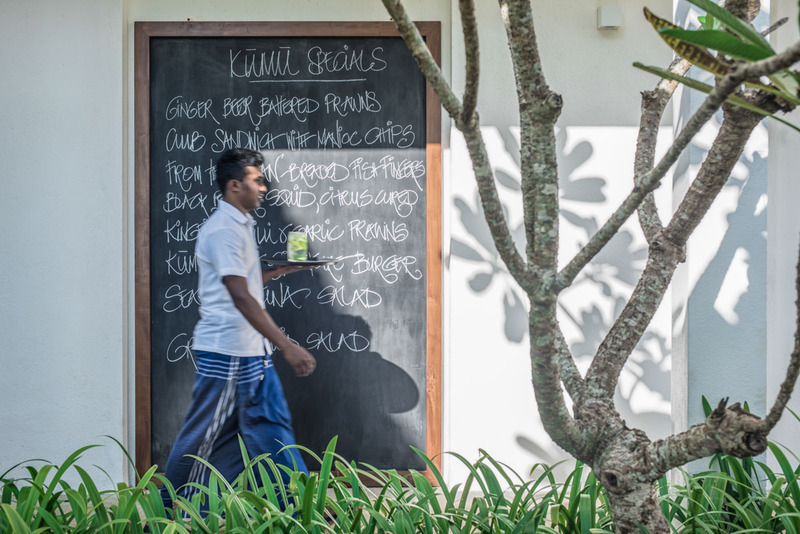 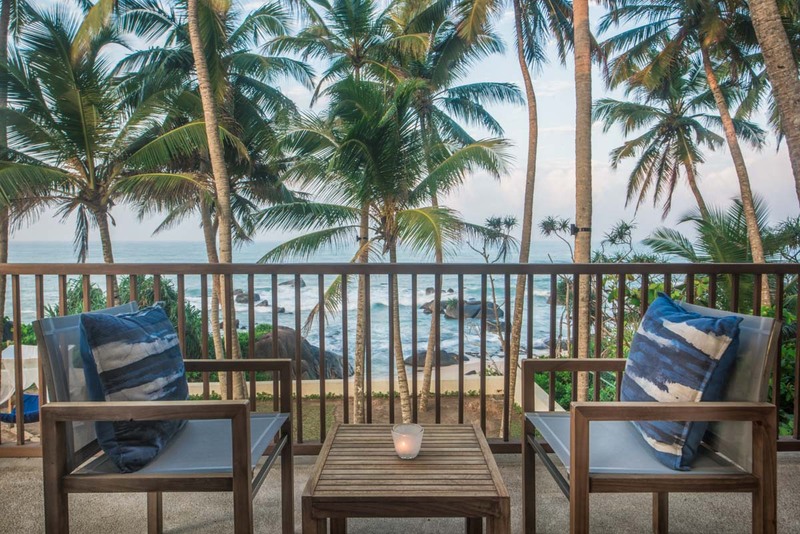 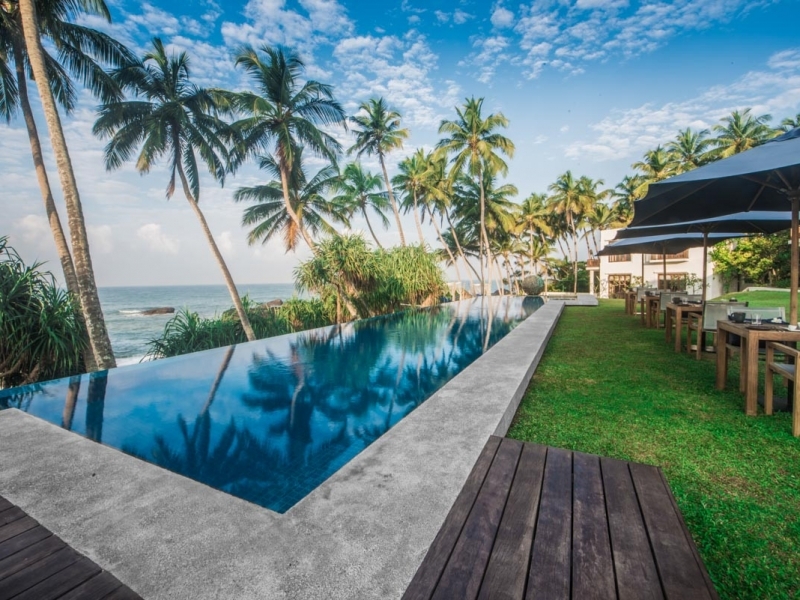 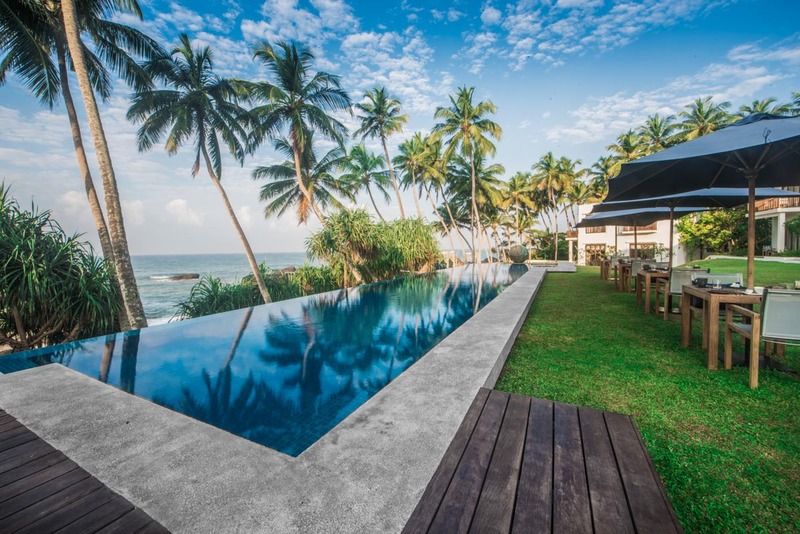 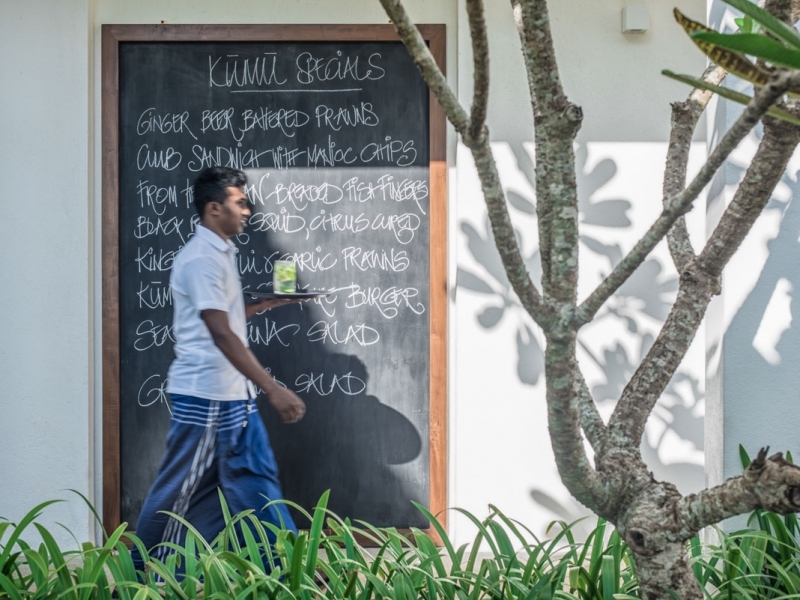 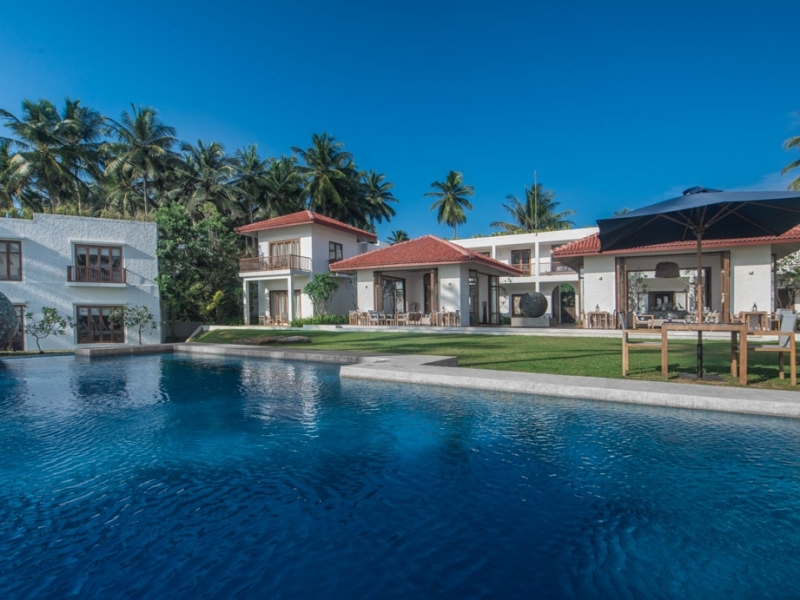 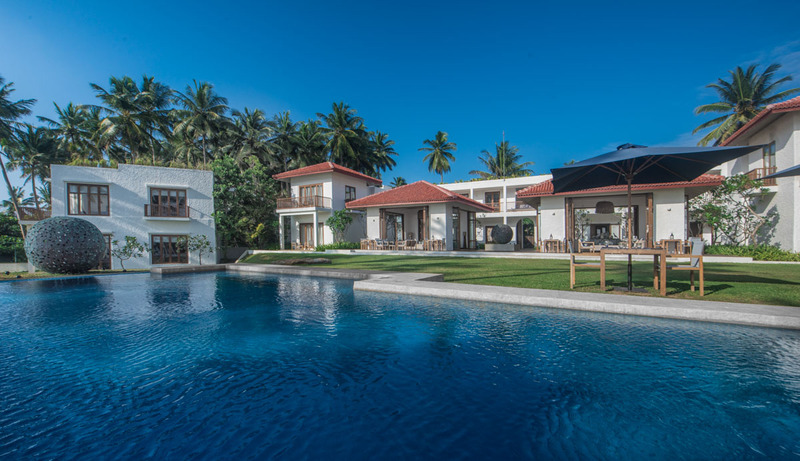 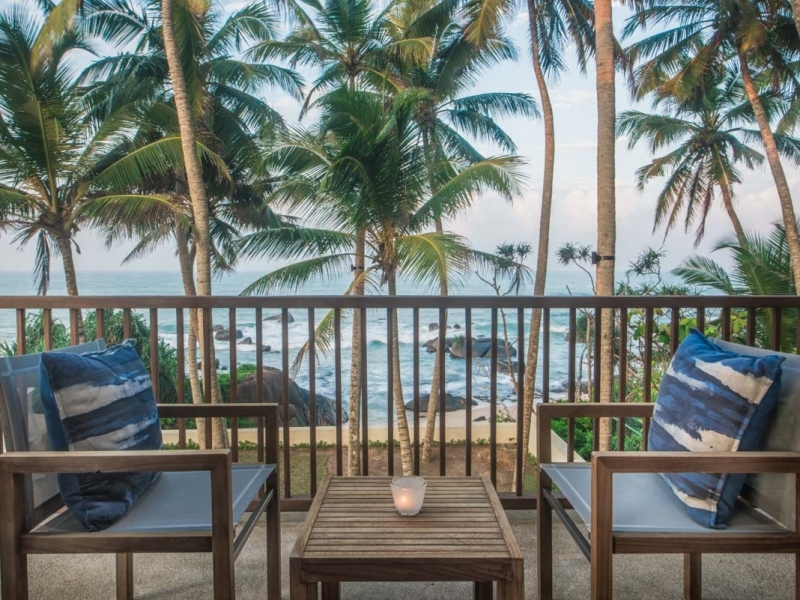 Beneath gently swaying coconut palms on a serene boulder-sprinkled seafront sits Kumu Beach, a contemporary beach hotel in Balapitiya home to 10 indulgent bedrooms, chic living and dining areas basking in the open air, and a generous lawn with infinity swimming pool. 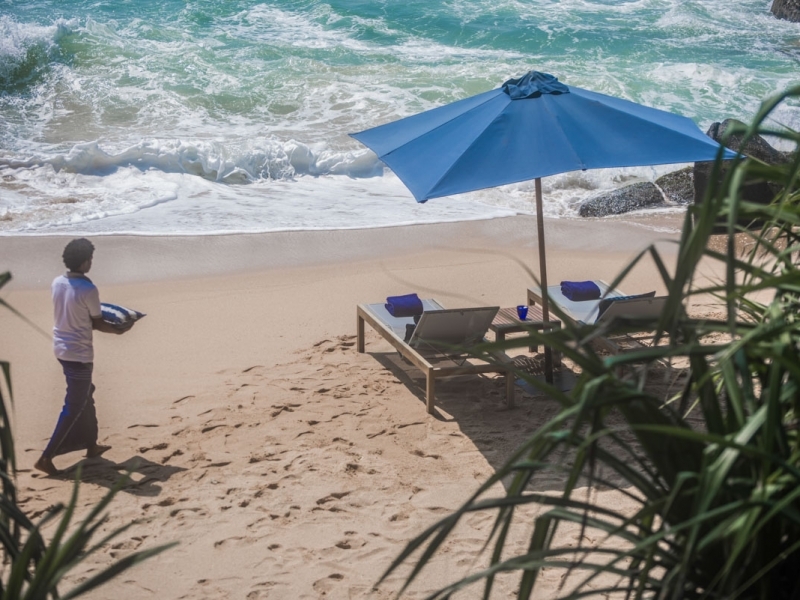 Balapitiya’s powder-soft beach is footsteps away, and this exclusive Sri Lanka beach hotel is an enchanting place to relax, unwind, eat well and enjoy personalised, high-end service. 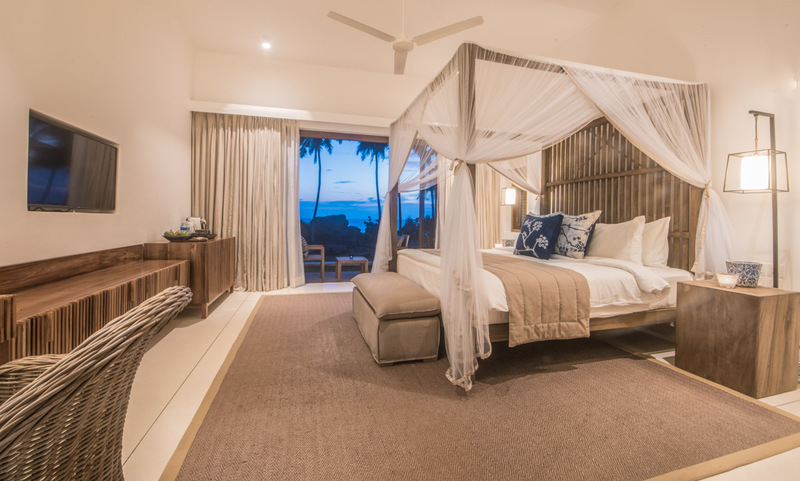 All rooms are ocean facing, and boast fantastic views. 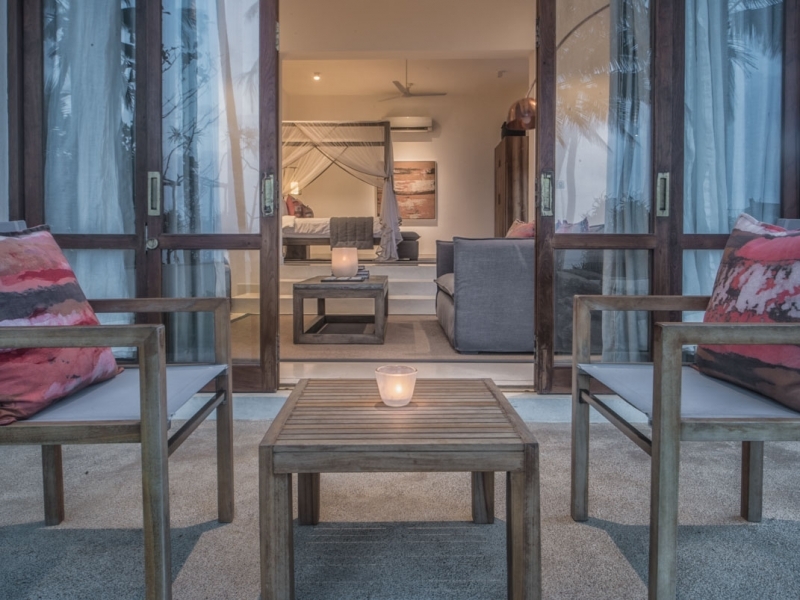 Upgrade to a suite for a private balcony and terrace. Rooms are spacious – with an open-plan layout – and feature batik fabrics. 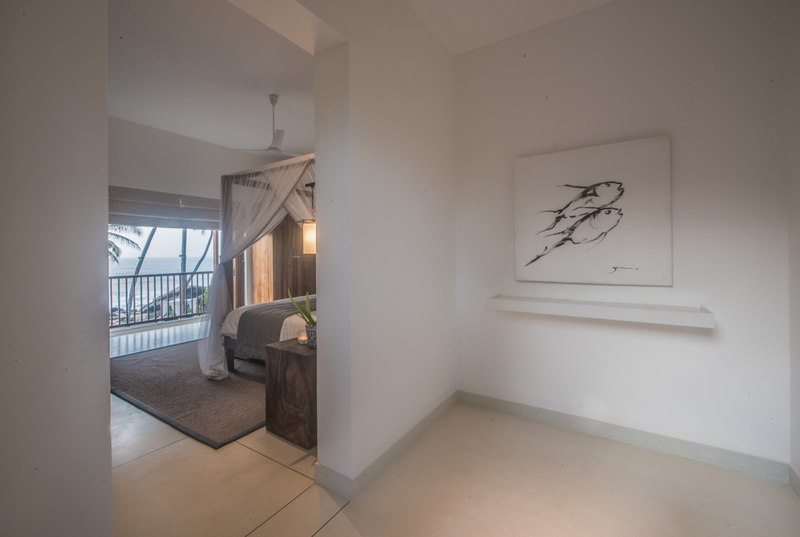 Colors are neutral, and vibrant modern art adorns the walls. 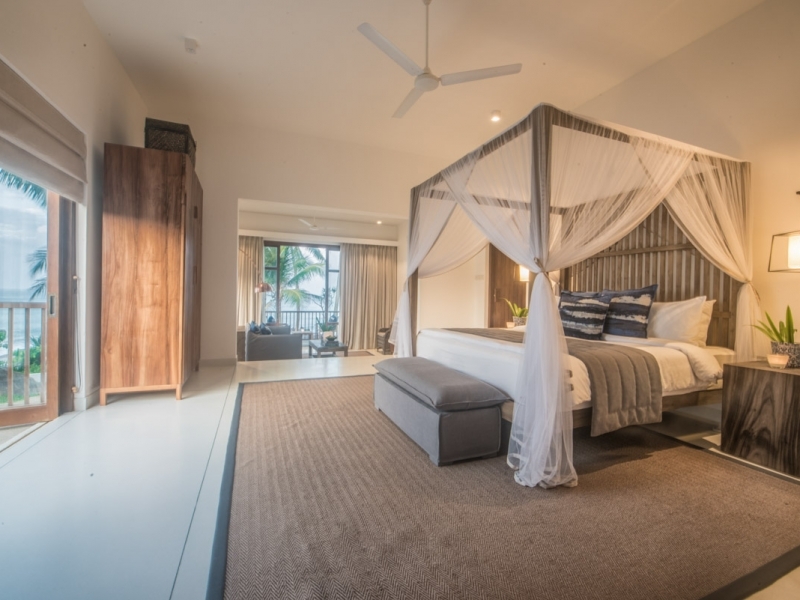 Offset by cooling off-white terrazzo floors, rooms are furnished with custom-designed beds and chic décor influenced by sunset pinks and ocean blues. 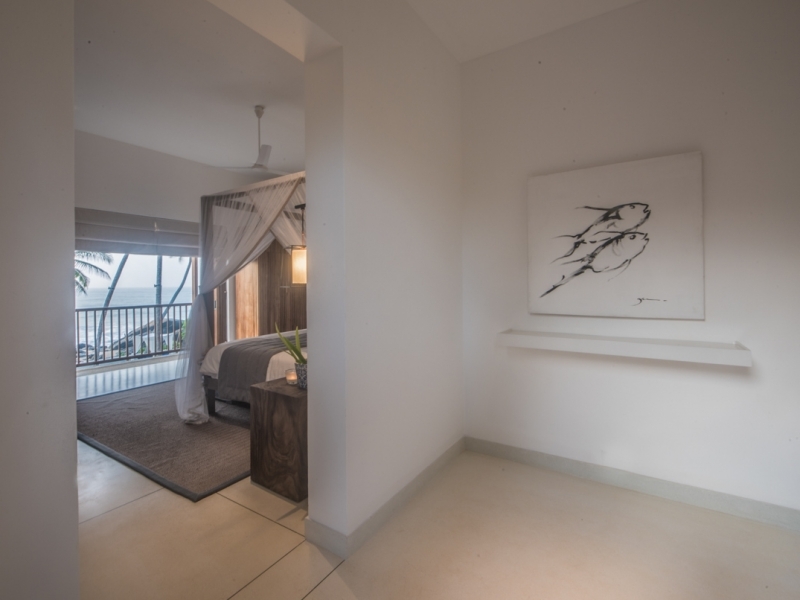 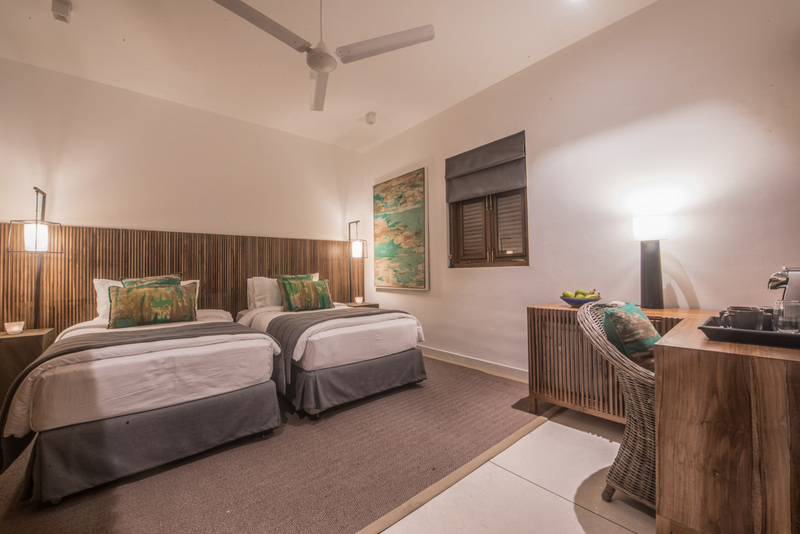 The twin-bedded Kumu Bedrooms are on the first floor while the fthe Oceanview Bedrooms and fthe Oceanview Suites are located on the ground and upper floor, and each directly accesses garden terraces or upper floor balconies with sweeping sea views. 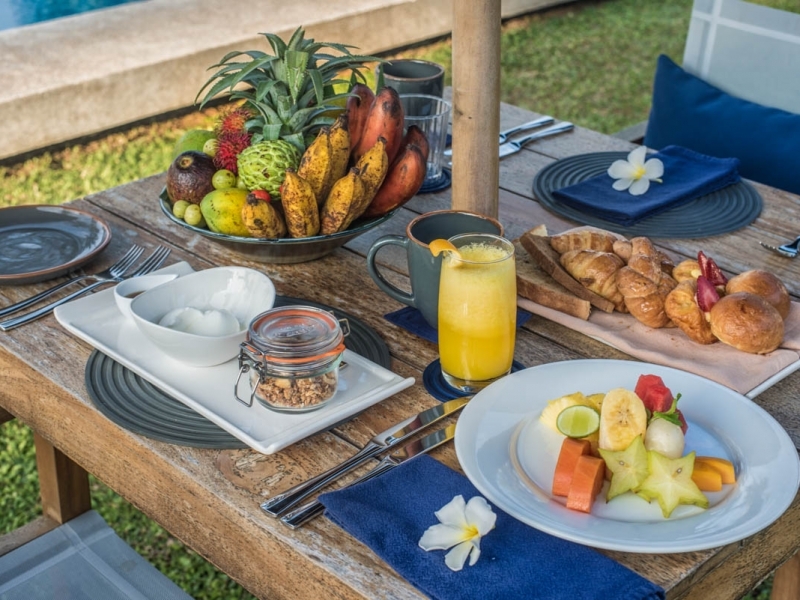 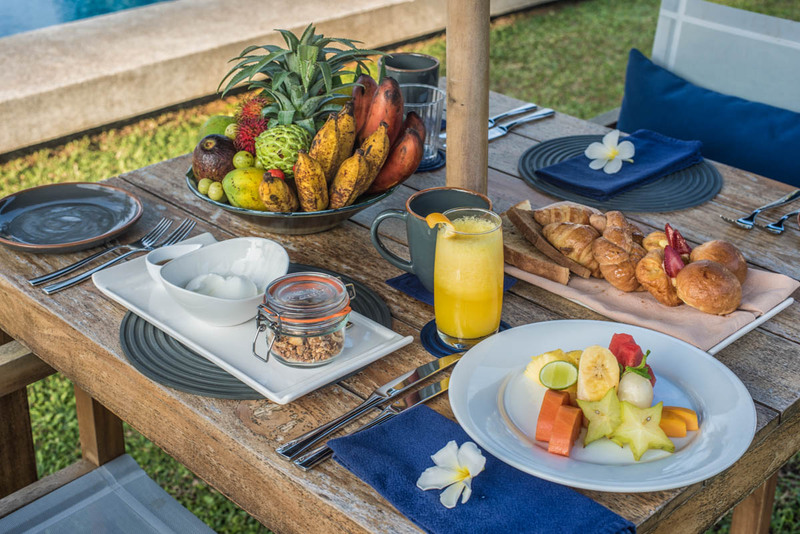 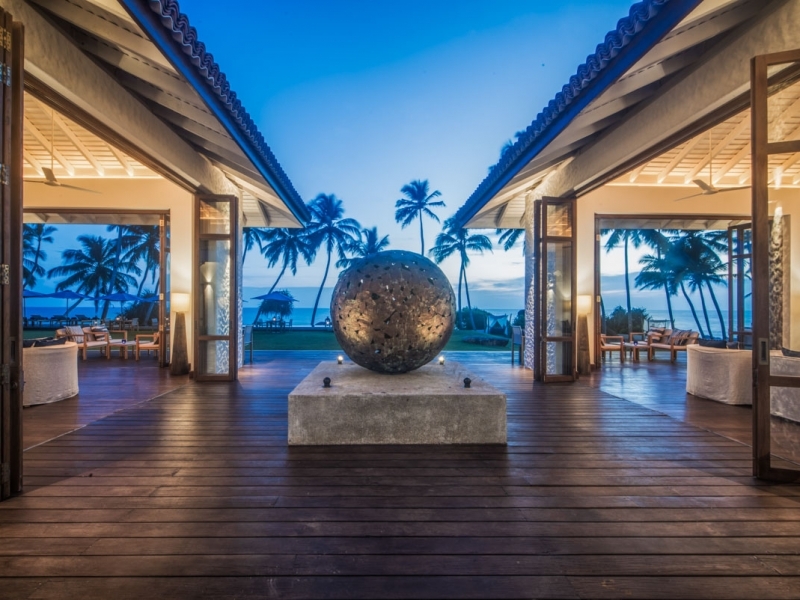 Kumu Beach is the venue for fine alfresco dining experiences paired with direct sea views. 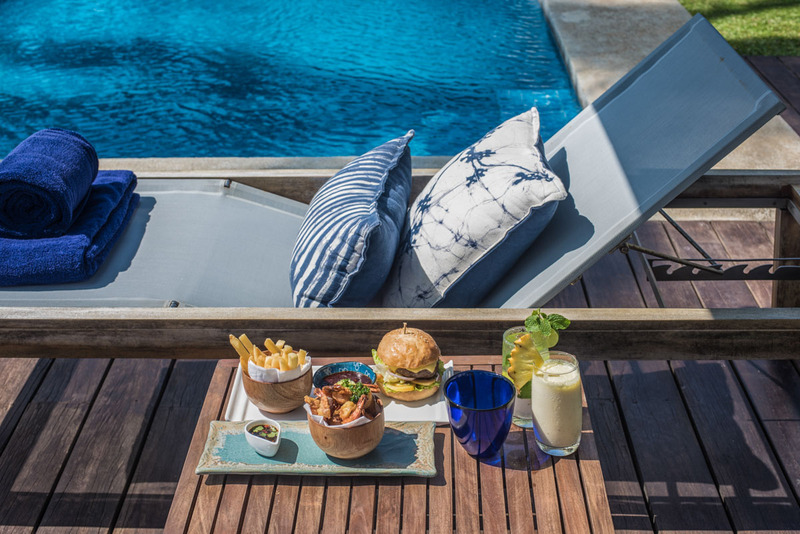 The gthemet a la carte all-day fusion menu champions fresh fish and seafood, with platters for sharing and smaller, tapas-style dishes for light meals and snacks throughout the day. 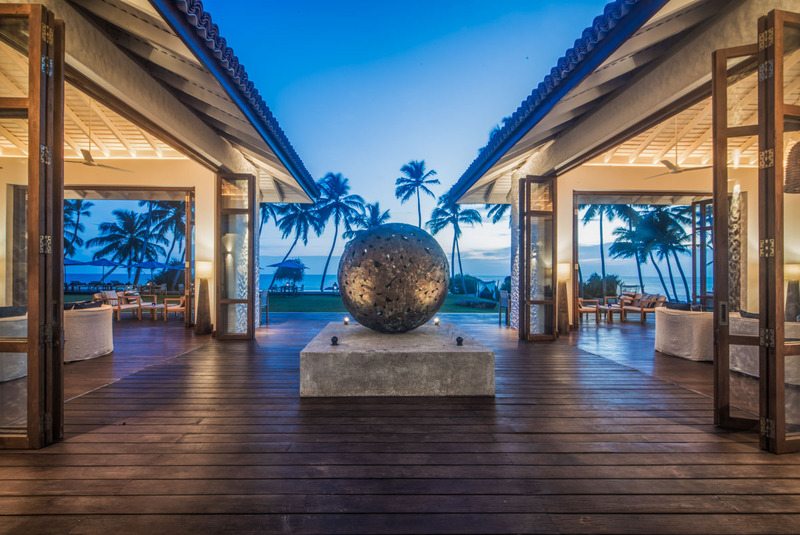 The long timber dining deck, fringed by lush seas of spider lilies and a verdant lawn, is the venue for sun-dappled breakfasts and evening candlelit meals beneath a ceiling of stars. 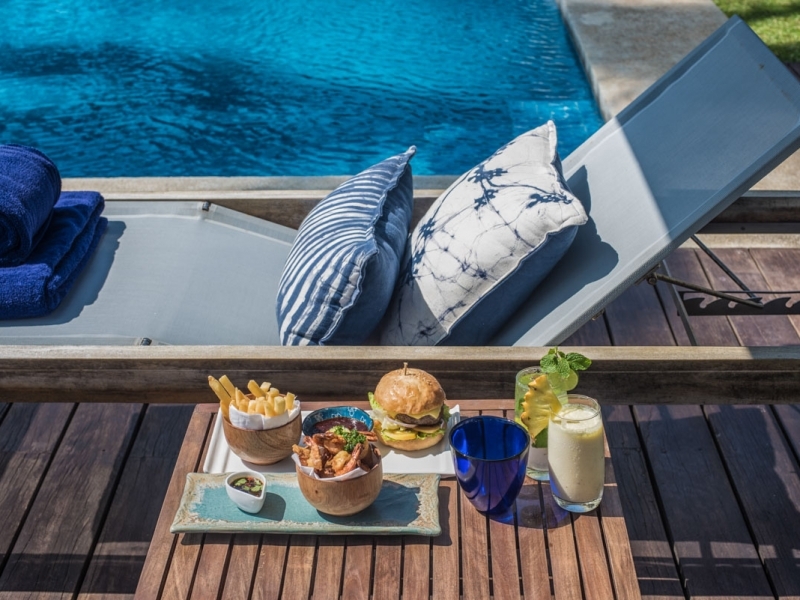 Yet for that special occasion, why not dine in the garden, beside the pool, on the beach or even atop one of the garden-edged rooftops for the ultimate private dinner-for-two? 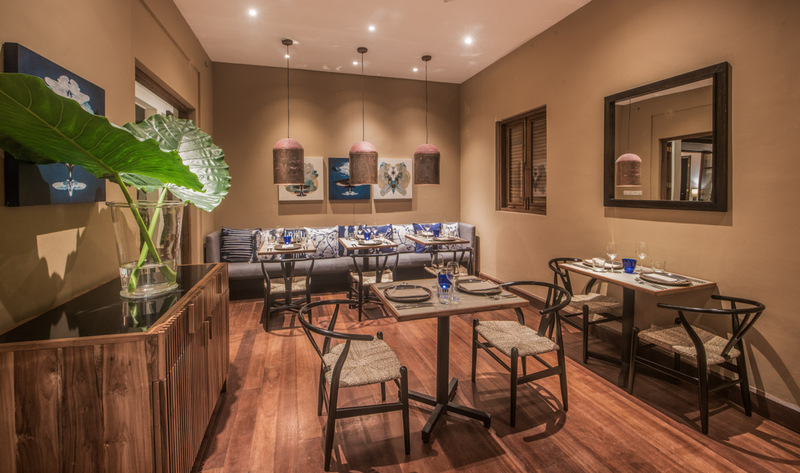 The café-style bar is air conditioned, and ideal for chilled dining during the heat of the day. 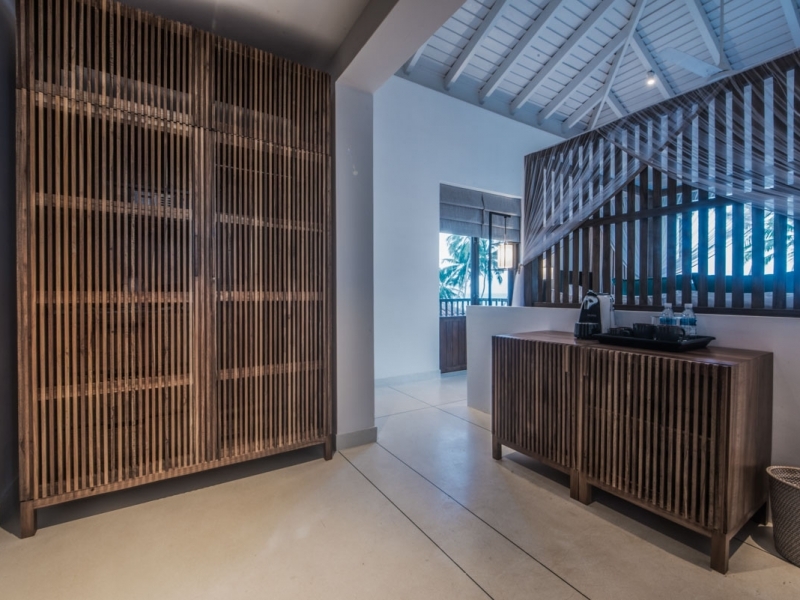 The curated treatments at the Z Spa promise to relax, reinvigorate and replenish ythe energy levels. 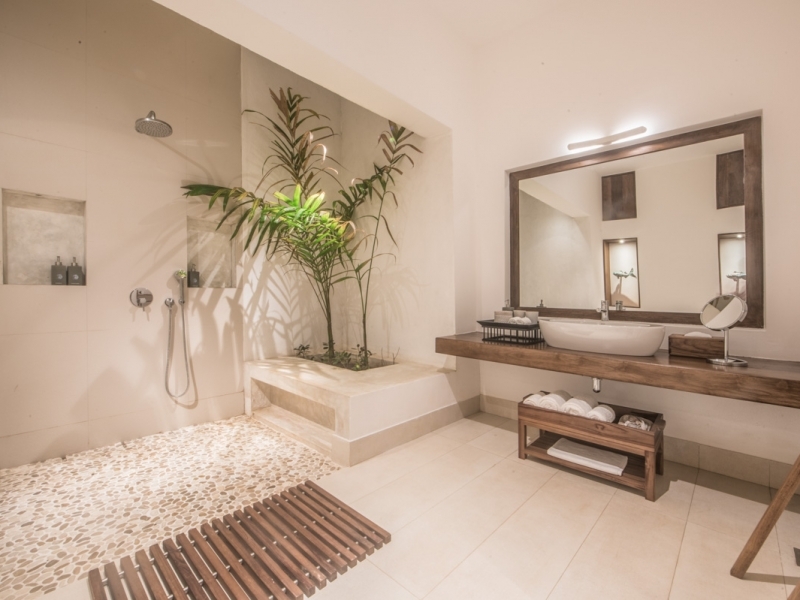 Each of the therapies are provided by experienced, caring professionals. 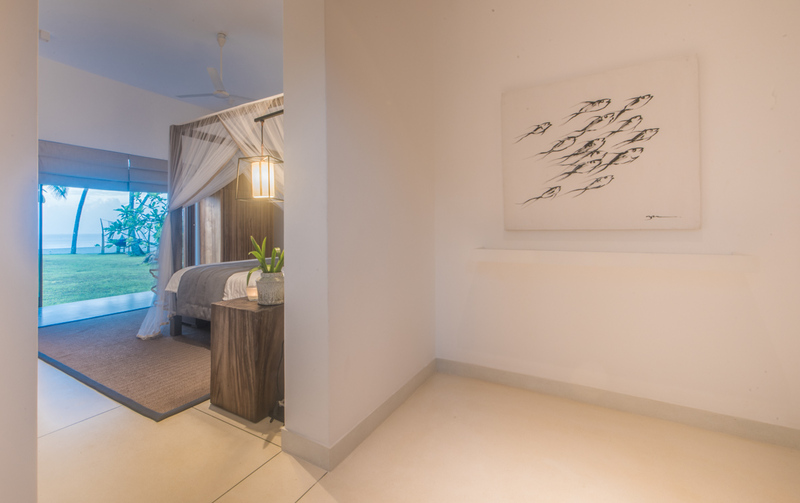 The upper floor spa has just one air-conditioned double treatment room facing the Indian Ocean. 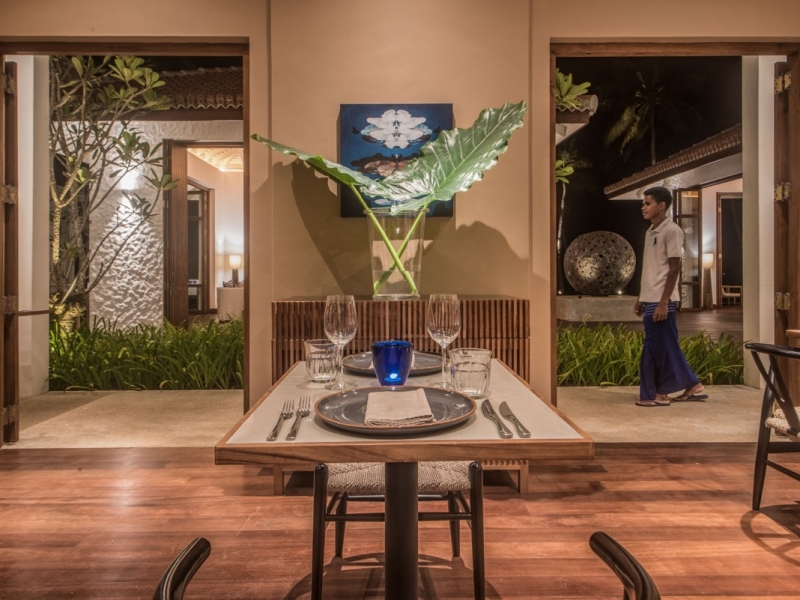 The restaurant specialises in local cuisine, and serves delicious seafood dishes. 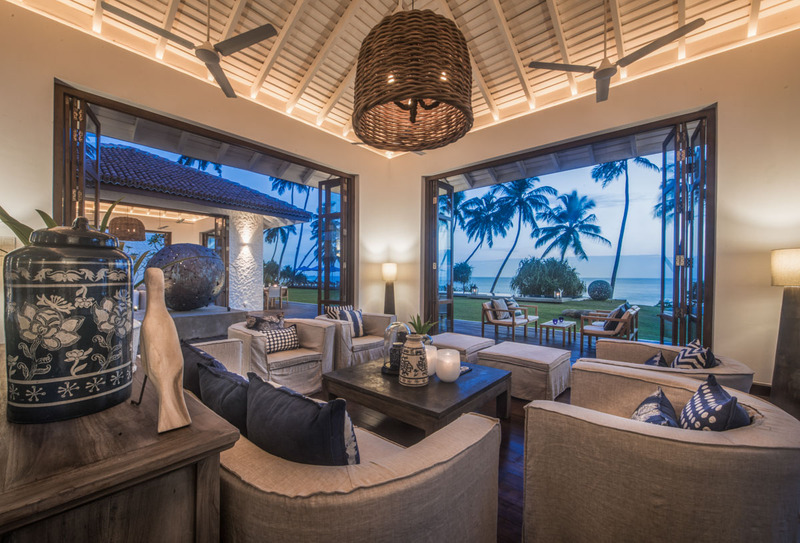 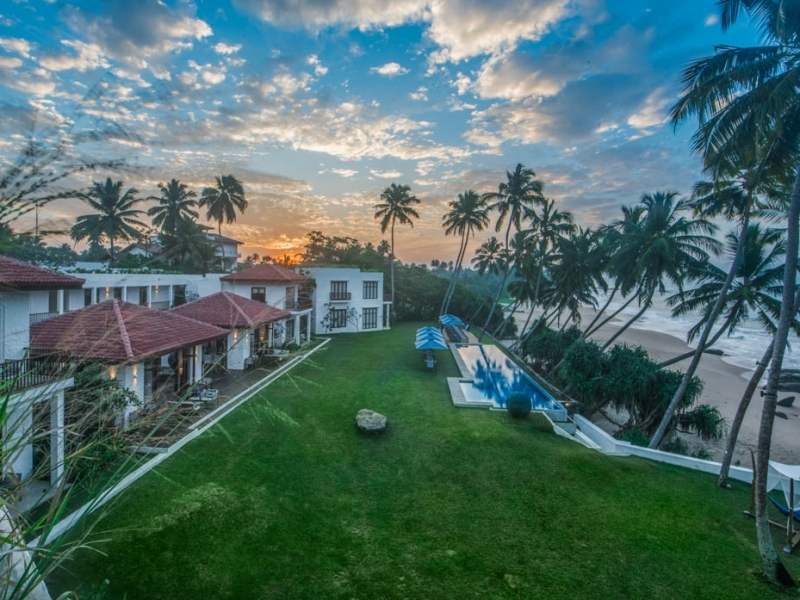 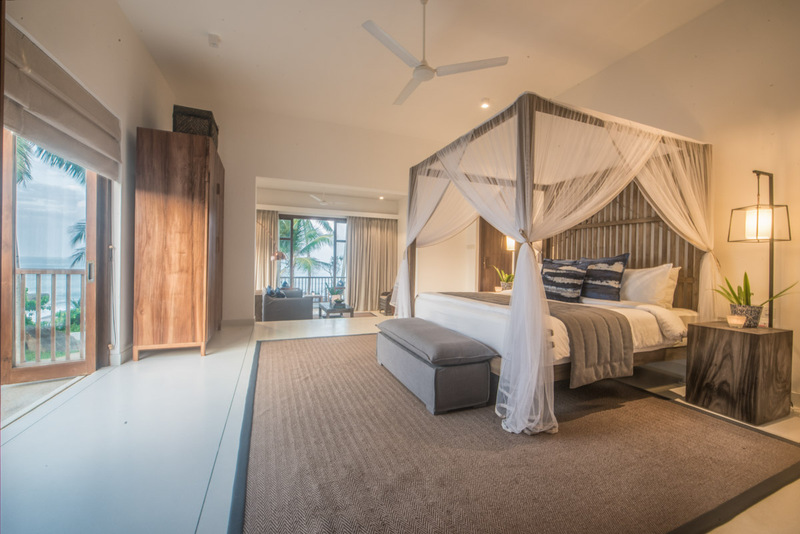 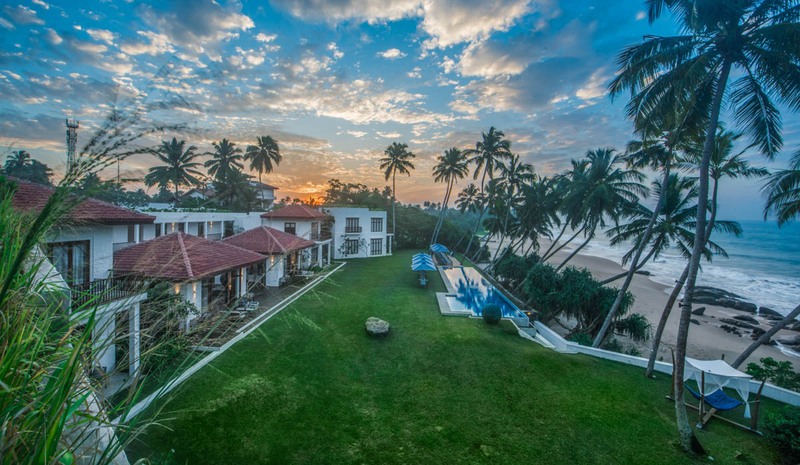 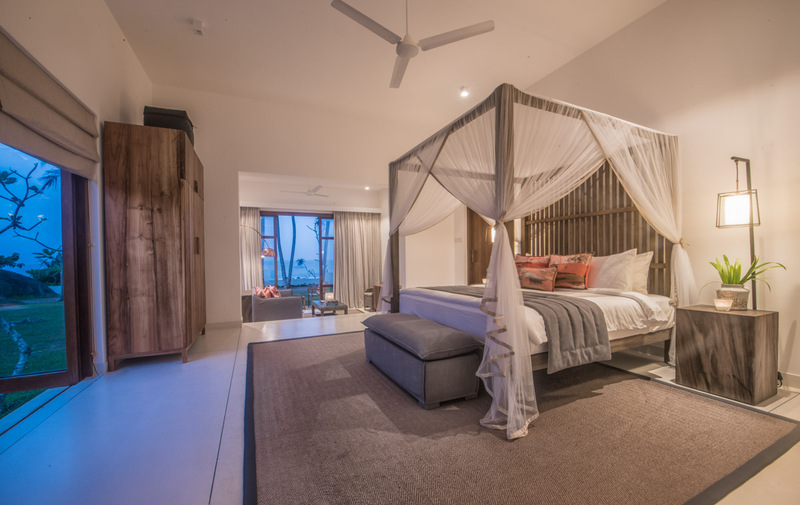 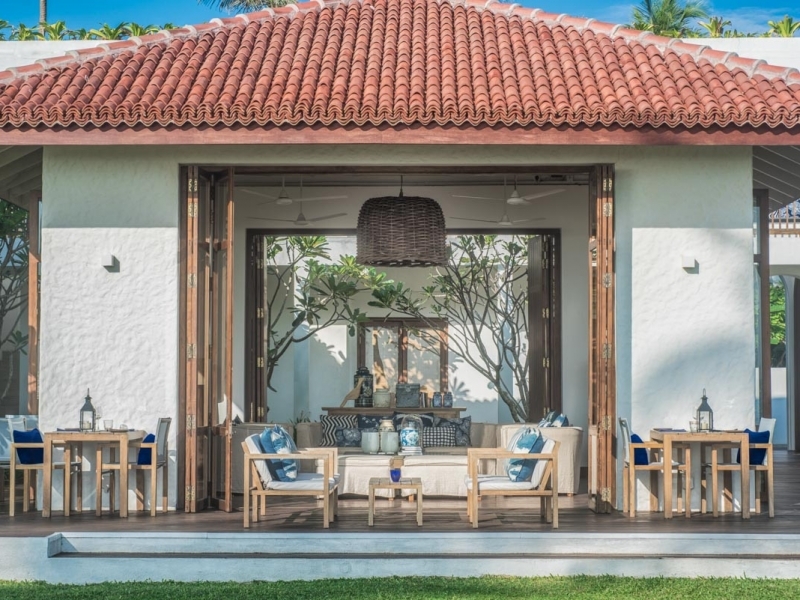 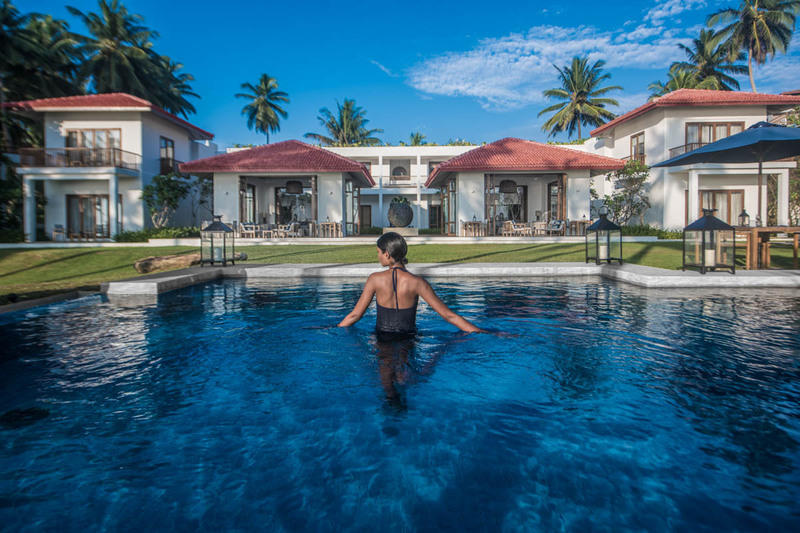 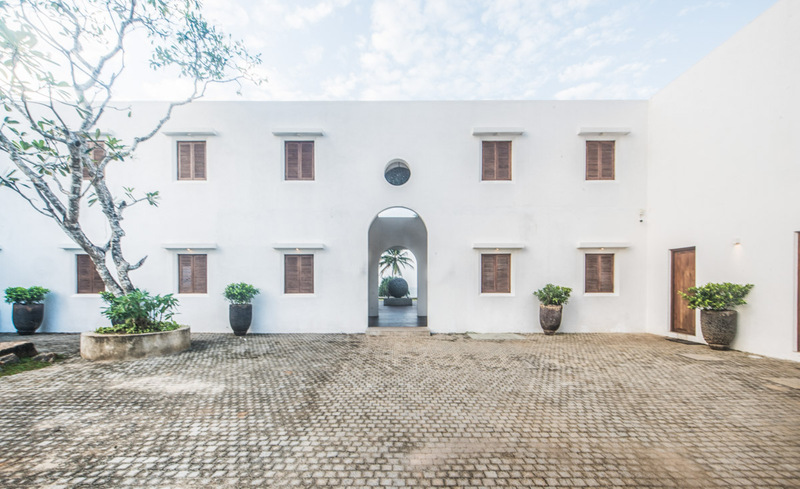 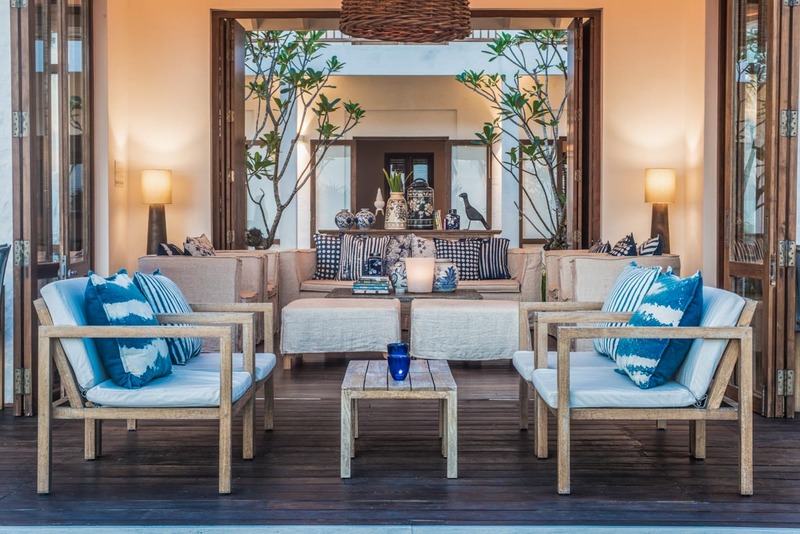 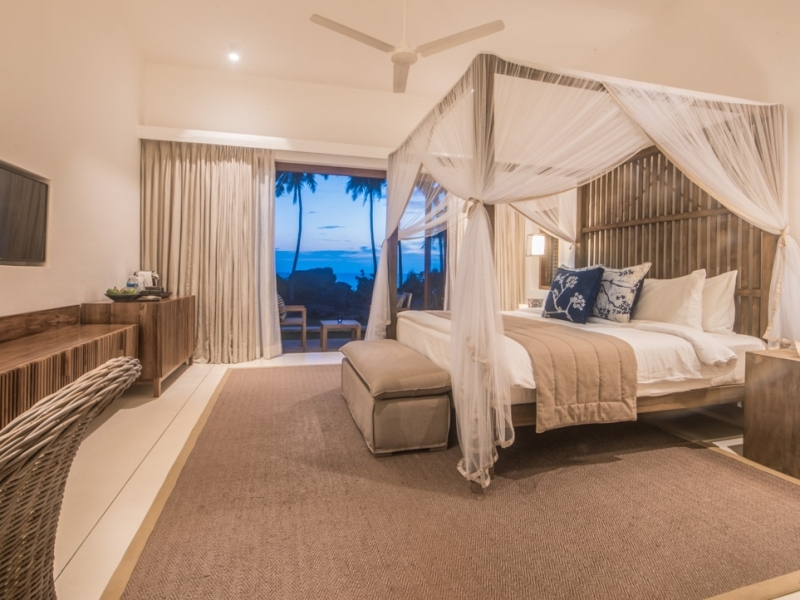 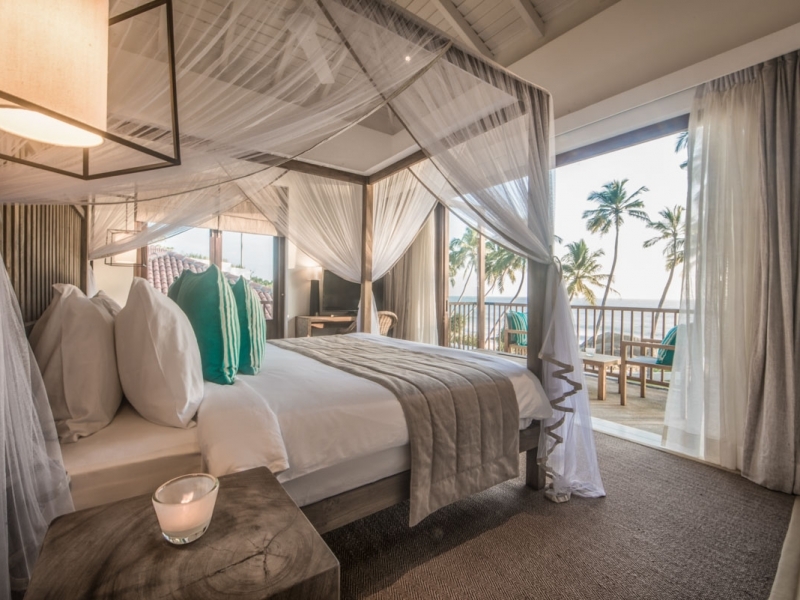 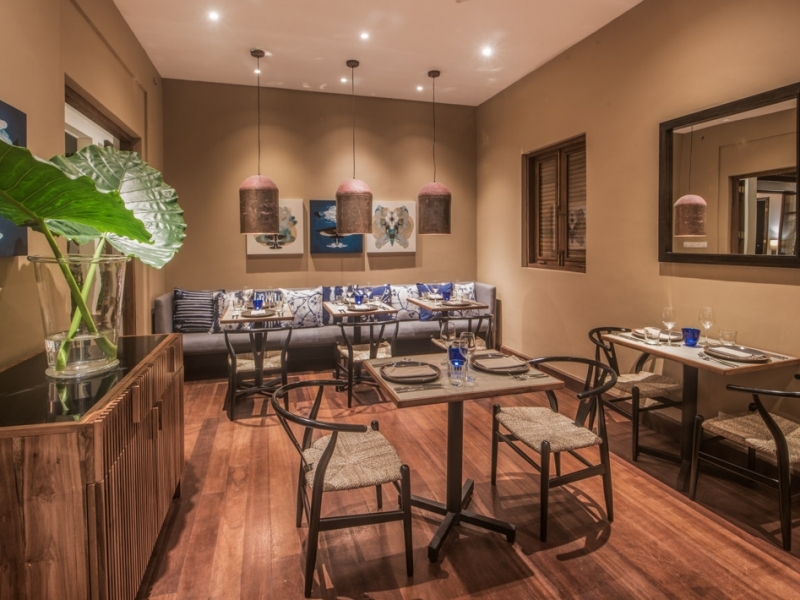 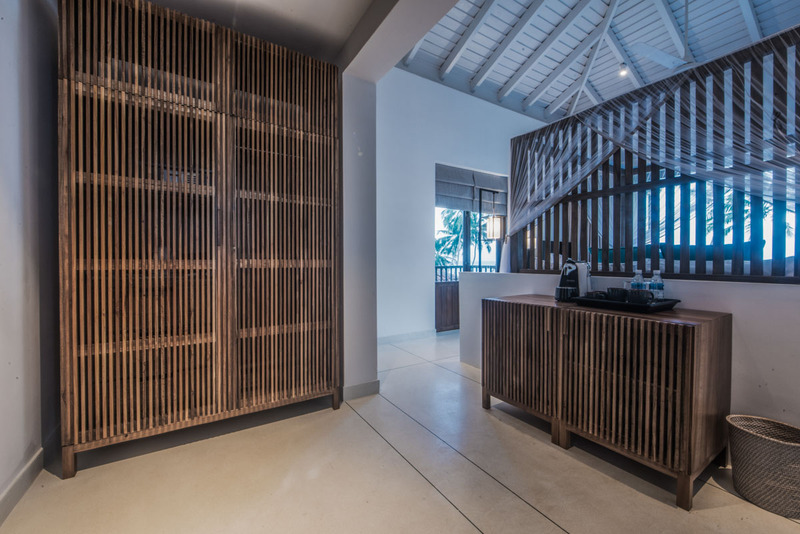 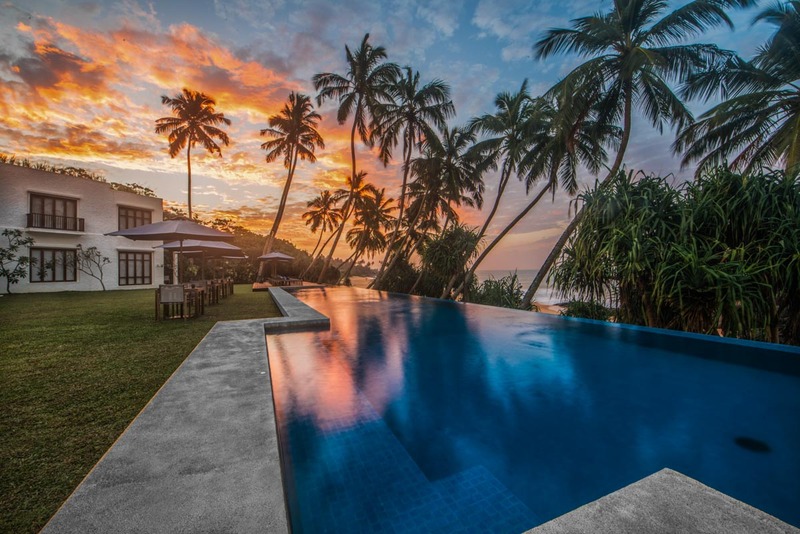 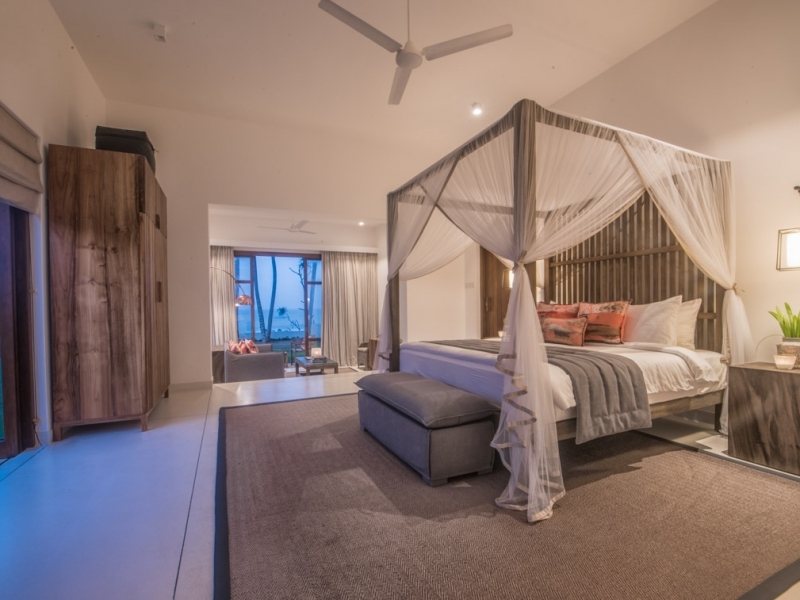 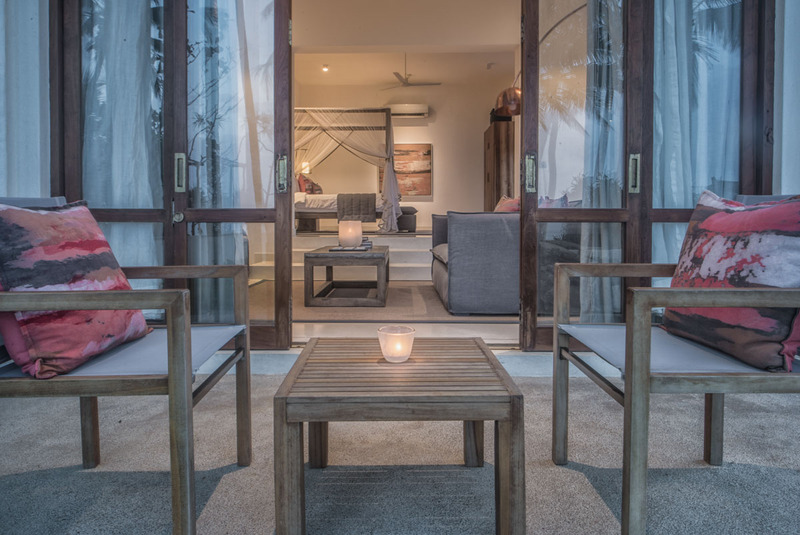 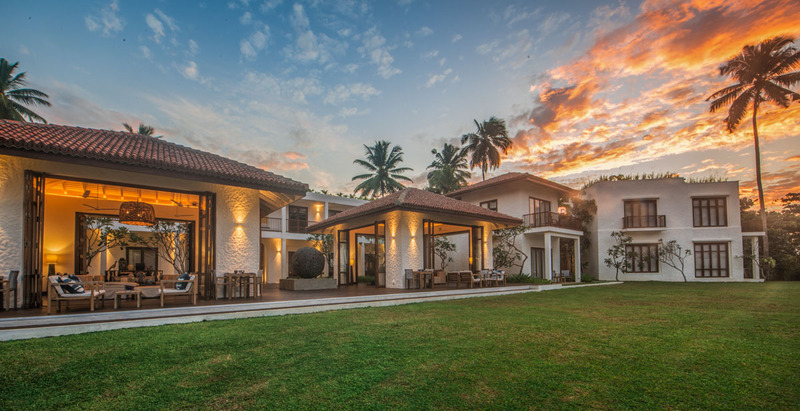 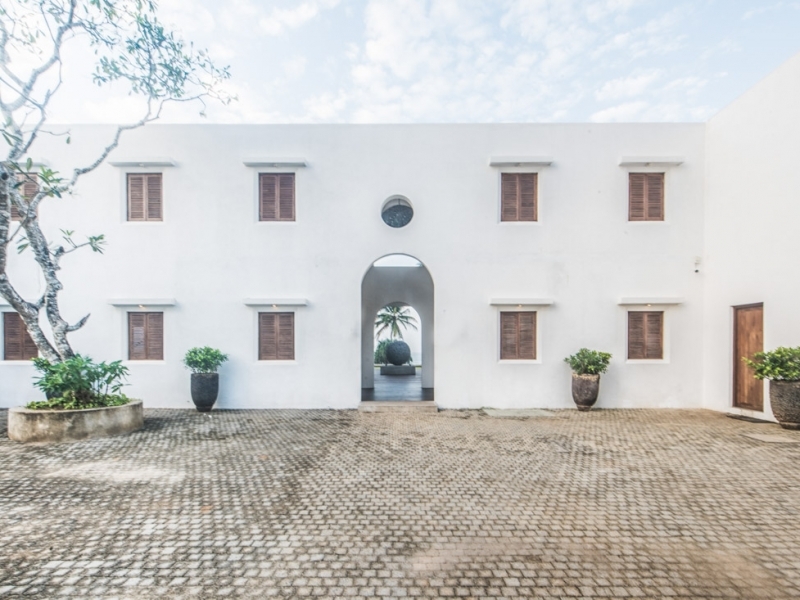 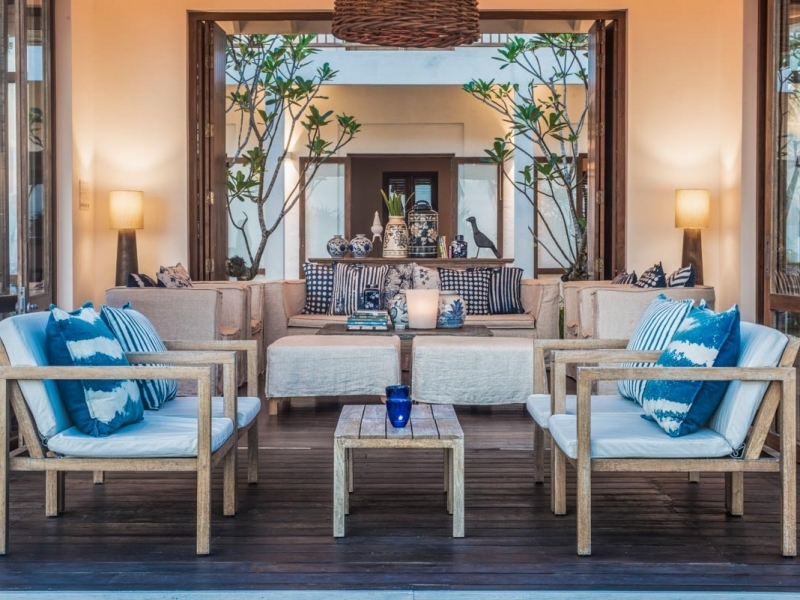 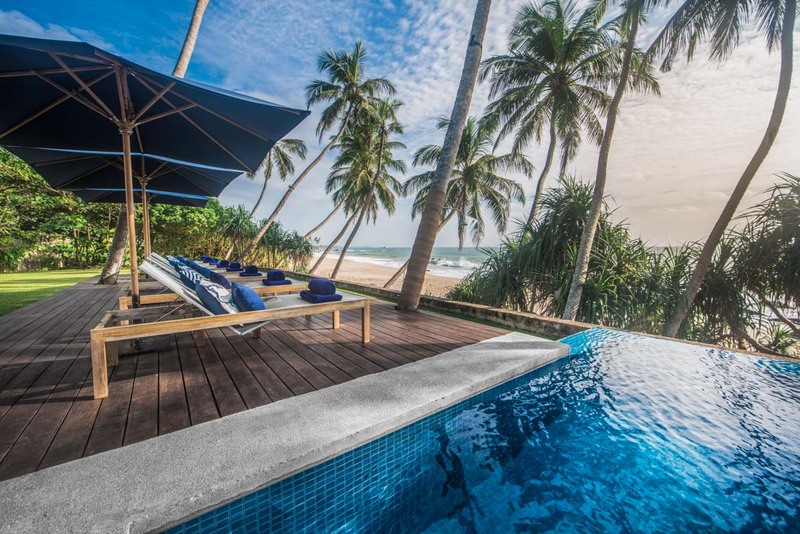 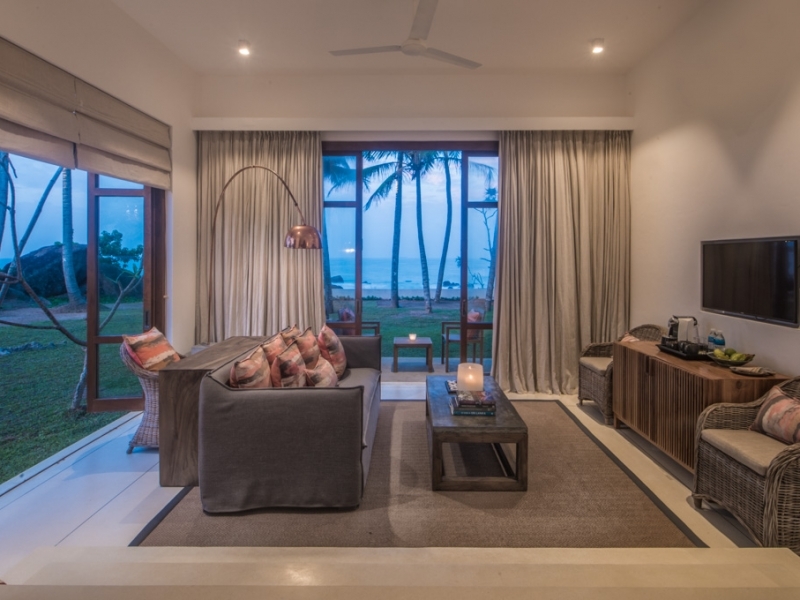 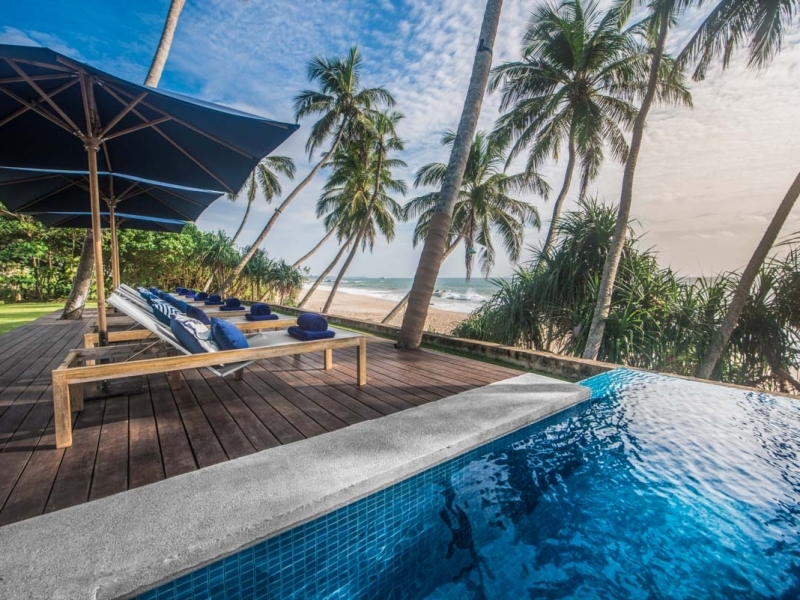 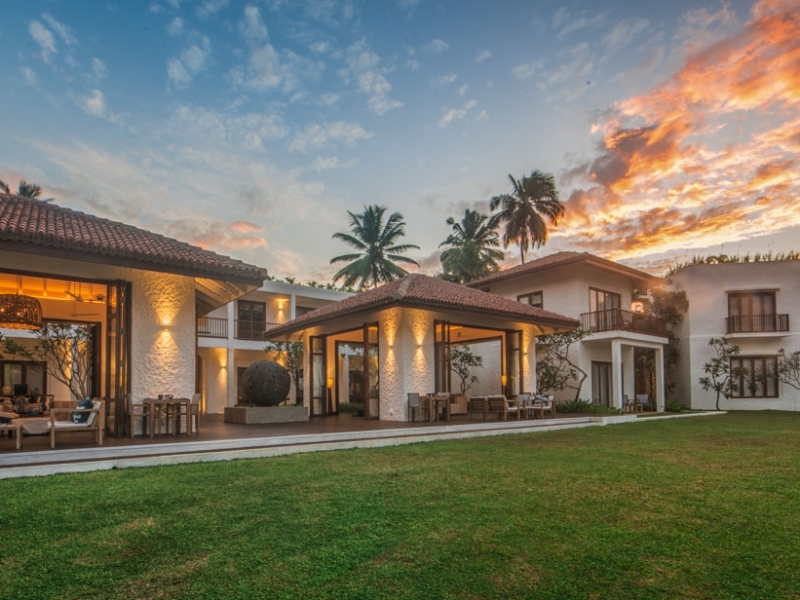 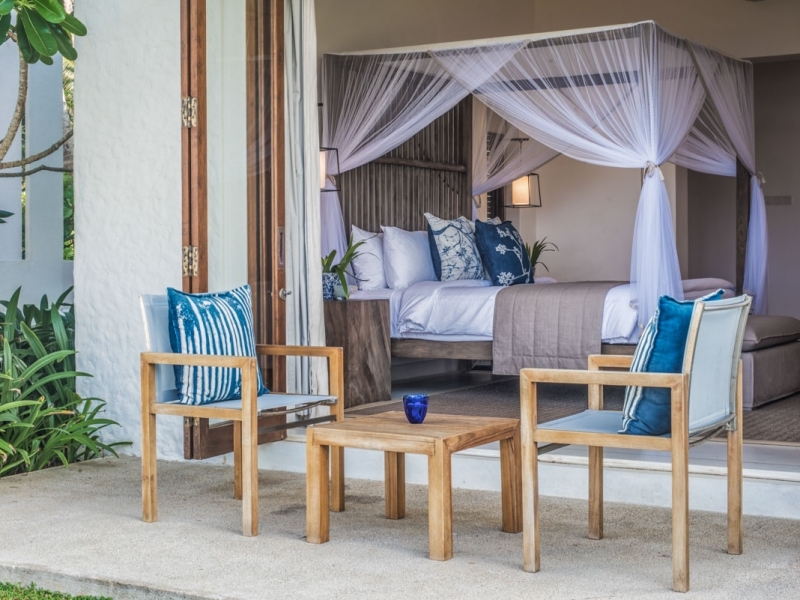 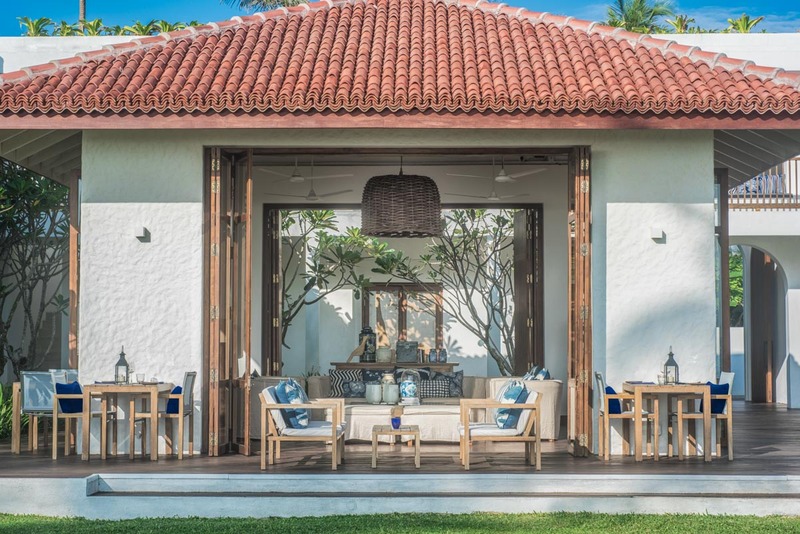 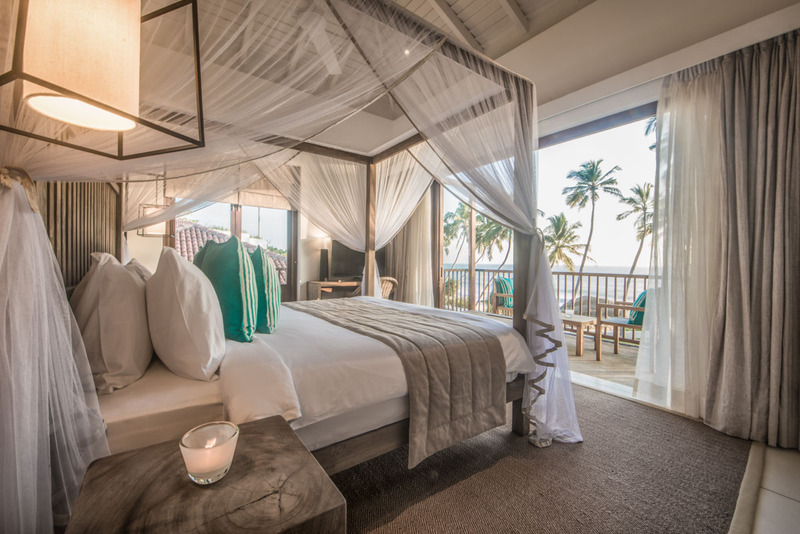 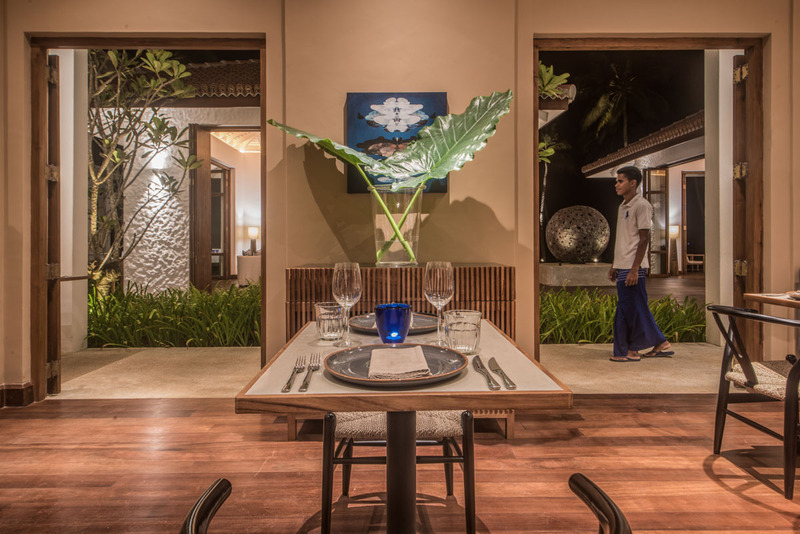 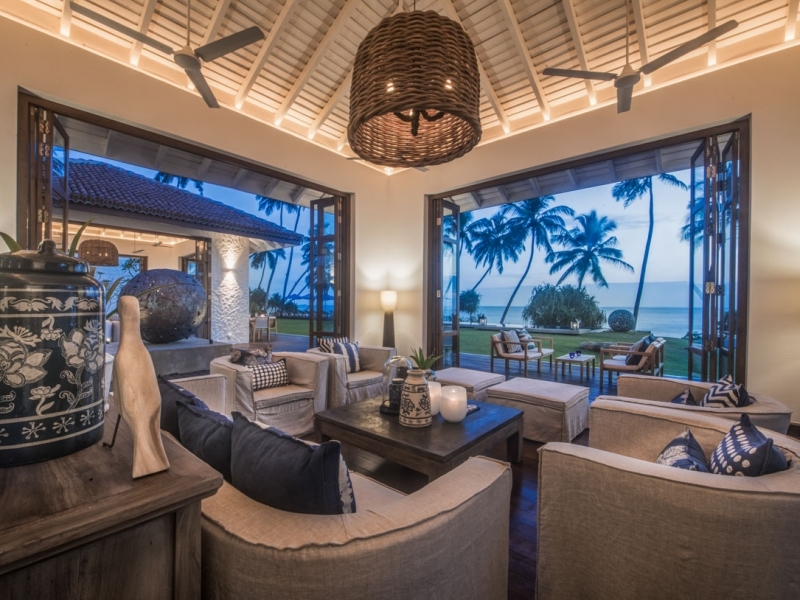 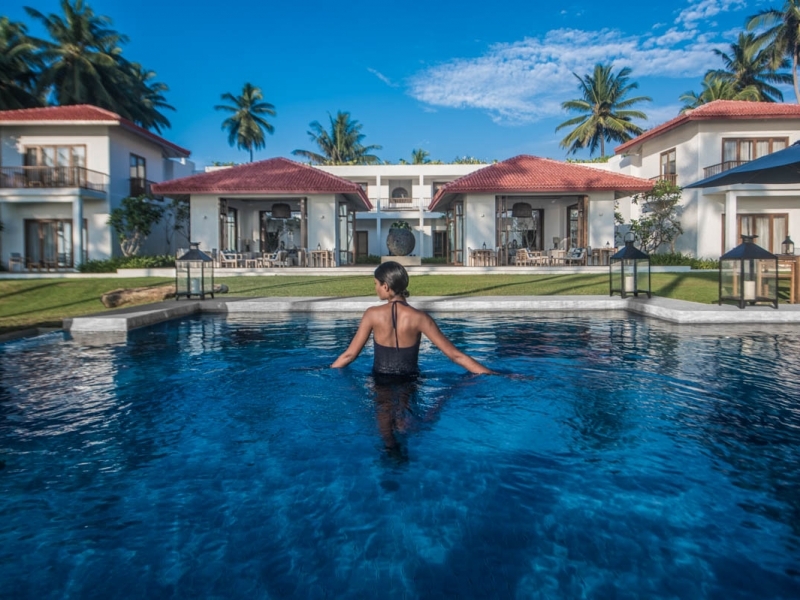 Contemporary Sri Lankan style at its best – think off-white terrazzo floors, beautifully dressed king-sized four-poster beds, handcrafted lamps, eye-catching art and custom-designed teak wood wardrobes. 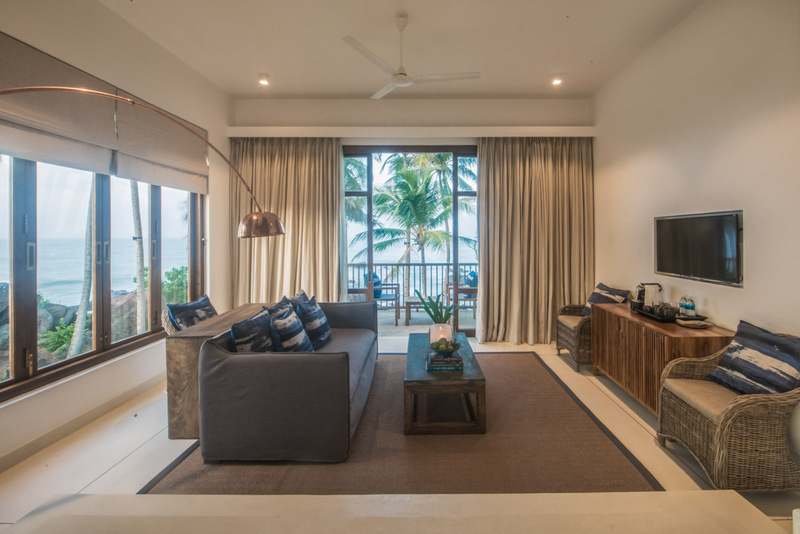 The bedroom extends down to a sunken lounge furnished with a sofa, cable TV and a desk illuminated by an arching brass lamp. 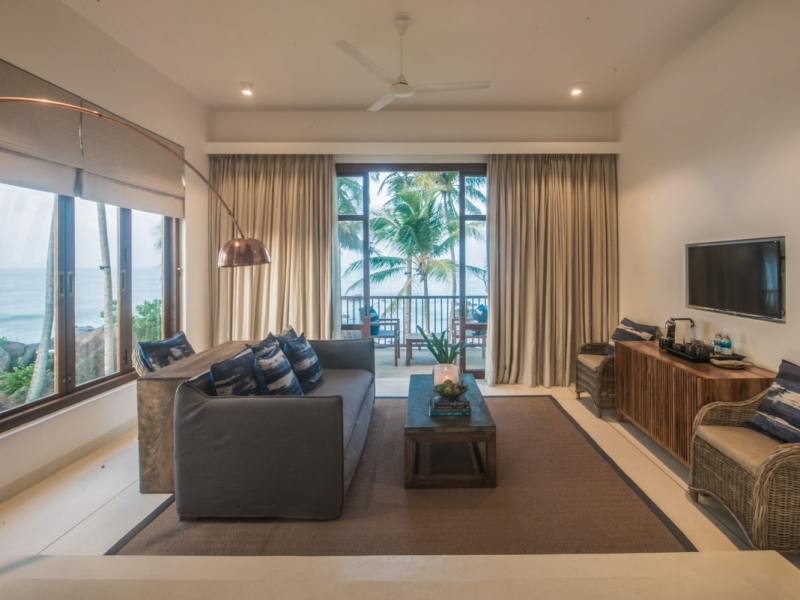 Three sets of picture windows look out over the garden, pool and ocean. 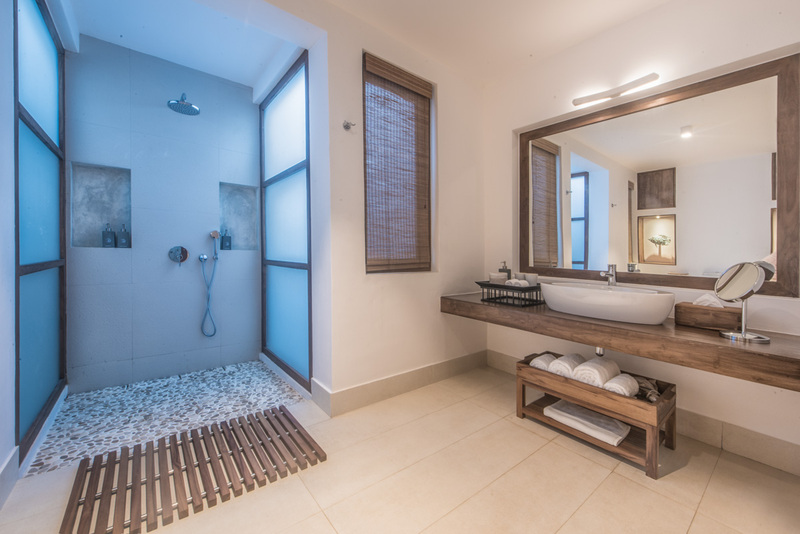 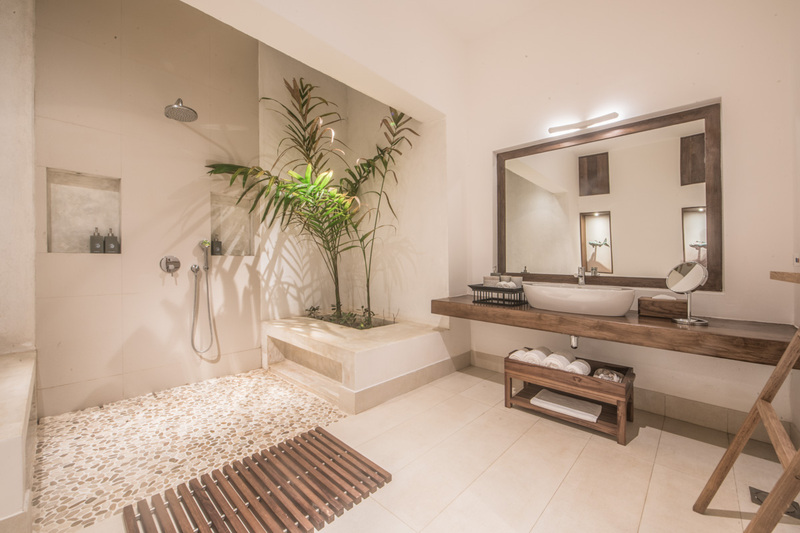 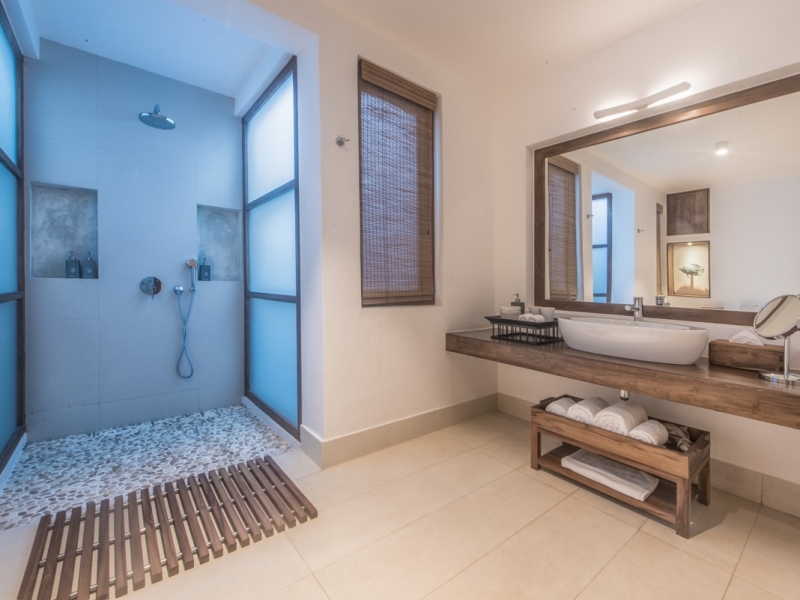 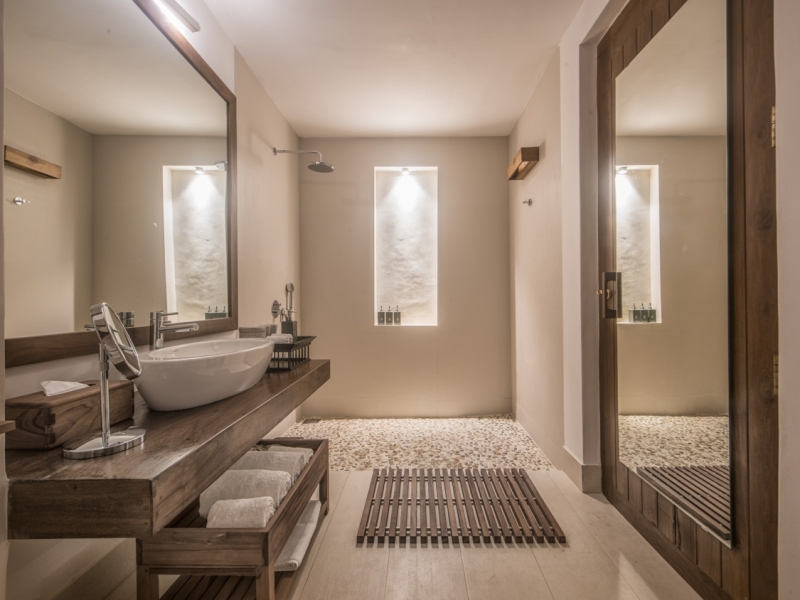 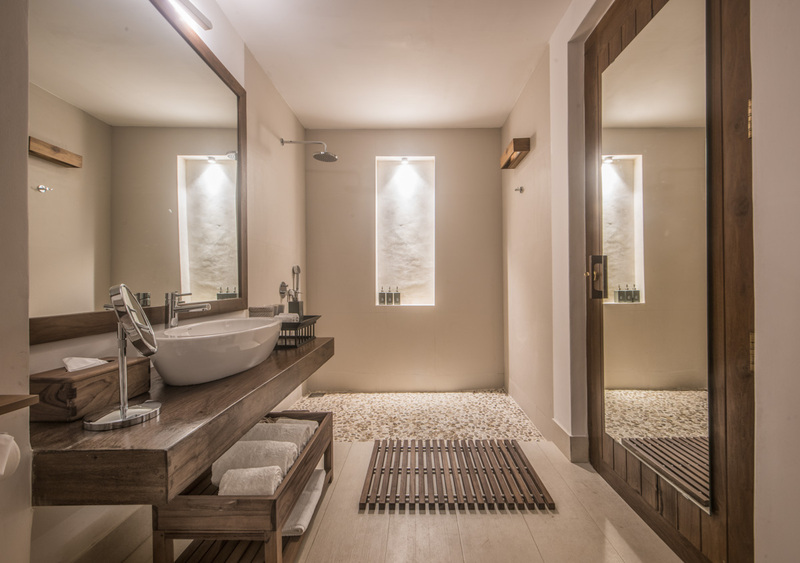 The ensuite bathroom is equipped with a rain shower and lavish amenities. 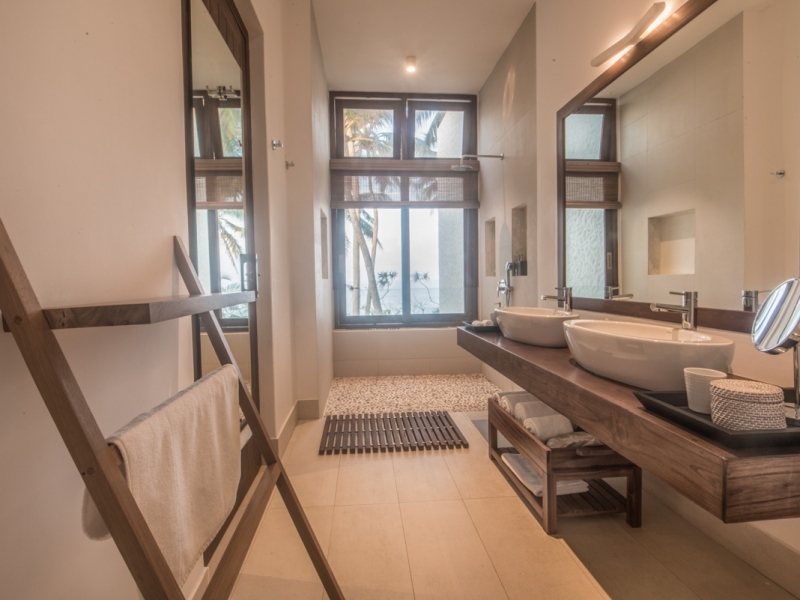 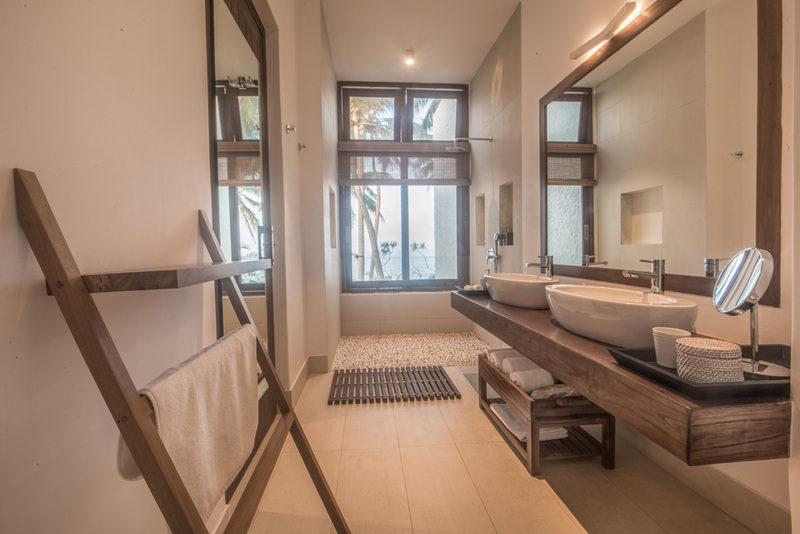 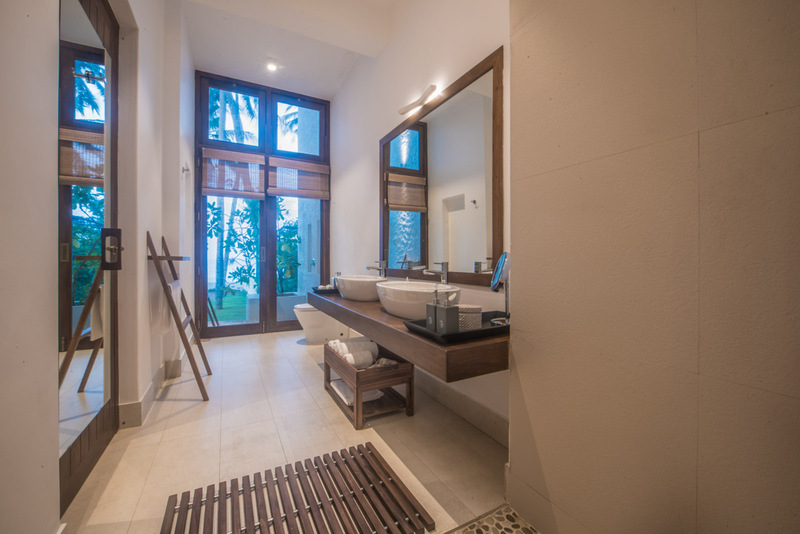 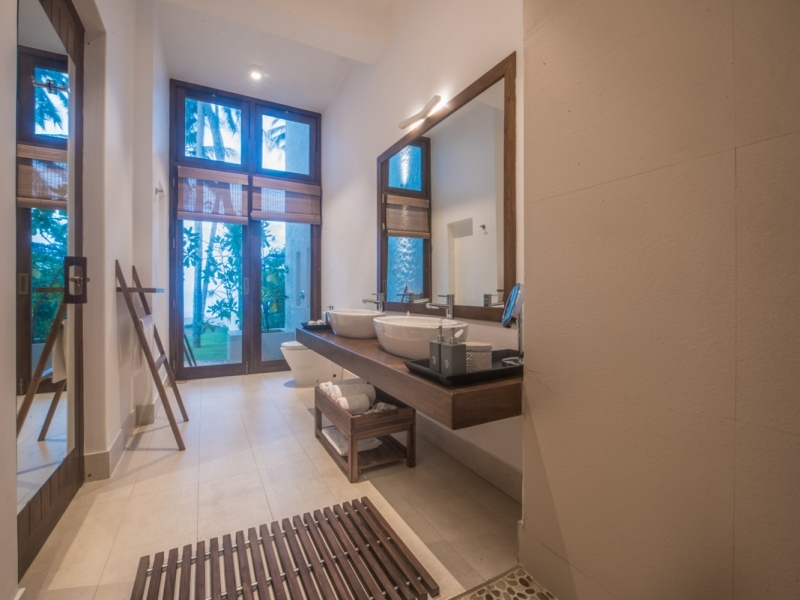 The two ground floor Oceanview Suites additionally have an outside shower. 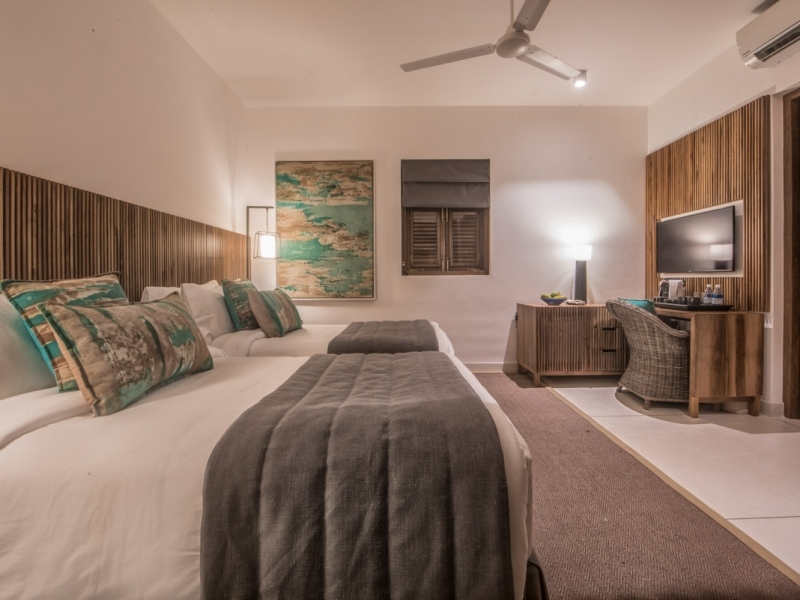 Style-conscious rooms promising plenty of space for sublime seaside stays. 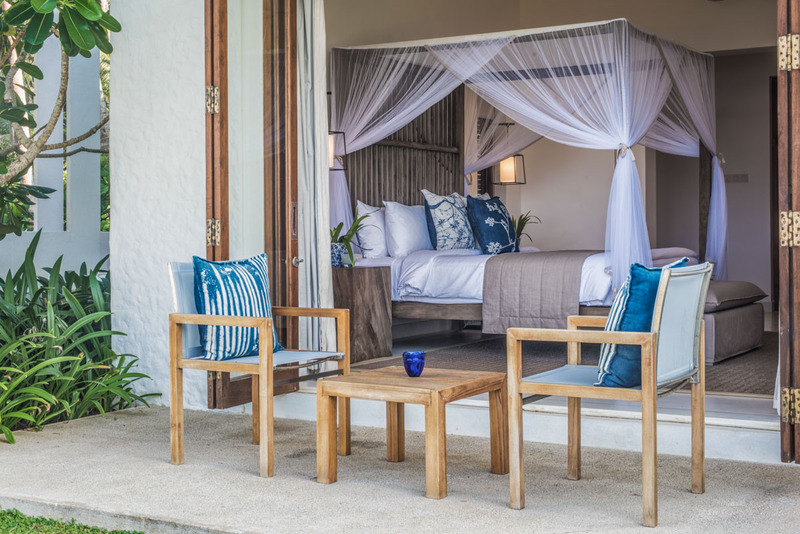 Fall asleep to the sound of the sea as you lie beneath a lightweight duvet on a custom-designed four-poster king-sized bed and wake up to tropical sunshine and coffee out on your private furnished terrace or veranda. 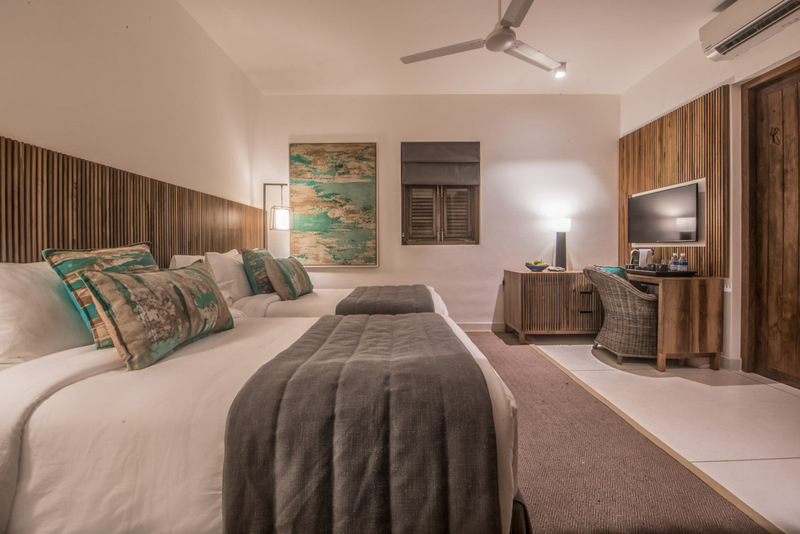 Rooms are air conditioned and furnished with bespoke wardrobes, cable televisions, tea/coffee making facilities and have spacious bathrooms with pebble-floored shower areas. 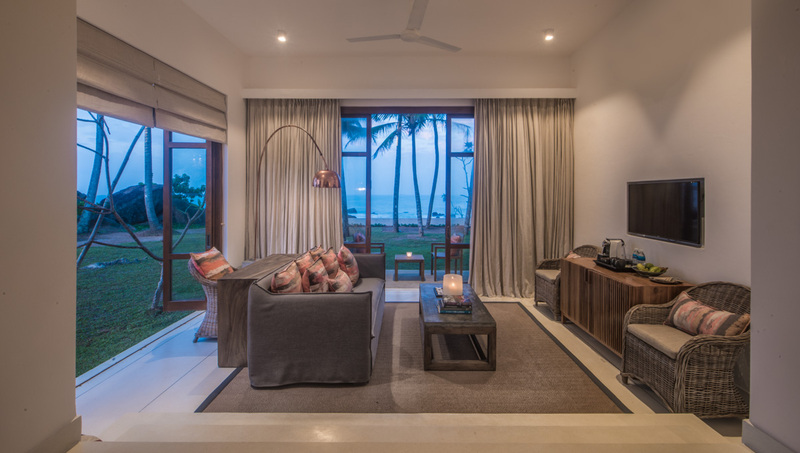 Characterised by contemporary teak wood panelling and furnished with beautifully dressed twin beds, our Kumu Bedrooms are serene and stylish sanctuaries for enjoying Balapitiya Beach and the west coast’s many activities. 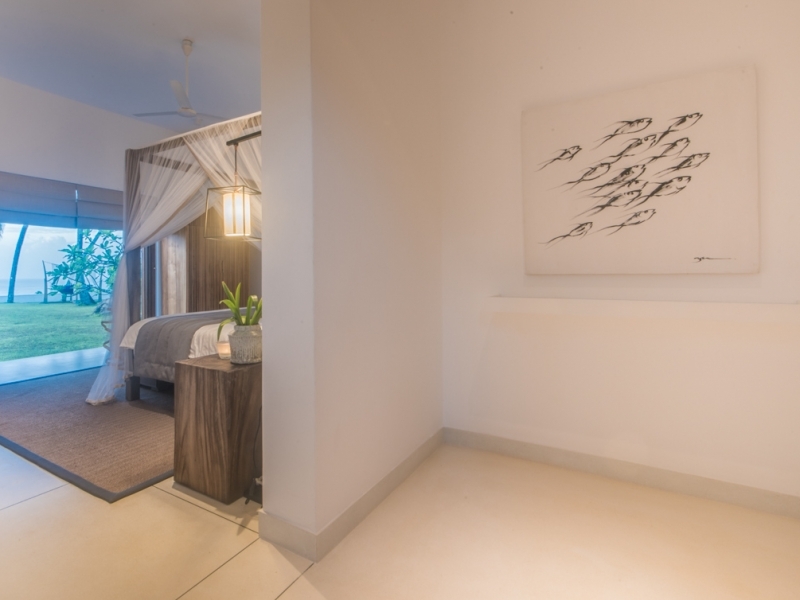 Rooms are air conditioned and equipped with cable televisions, tea/coffee making facilities and mini bars, while ensuite bathrooms have rain showers and luxurious amenities. 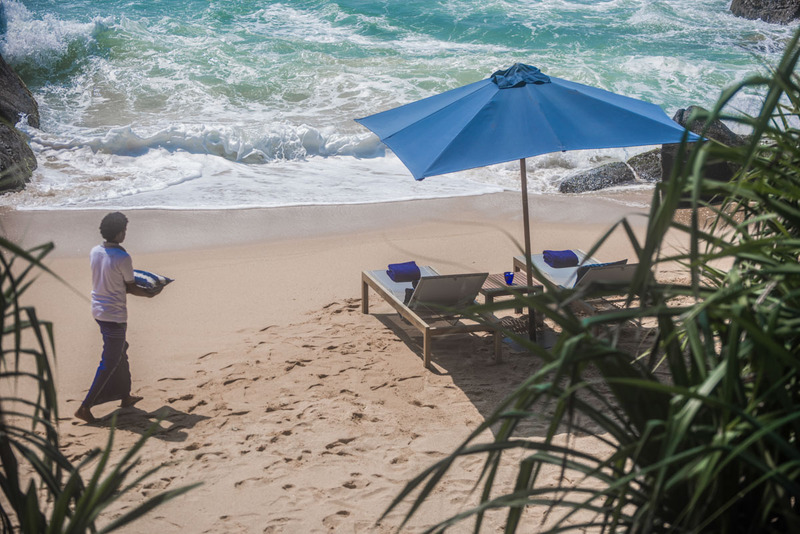 Balapitiya Beach is a fine swathe of sand on Sri Lanka’s sunset coast – a splendid palm-fringed shoreline home to nesting marine turtles, water sports in Bentota, boat trips along the Madu Ganga river, mask museums in Ambalangoda and easy access to the colonial-era fort of Galle.